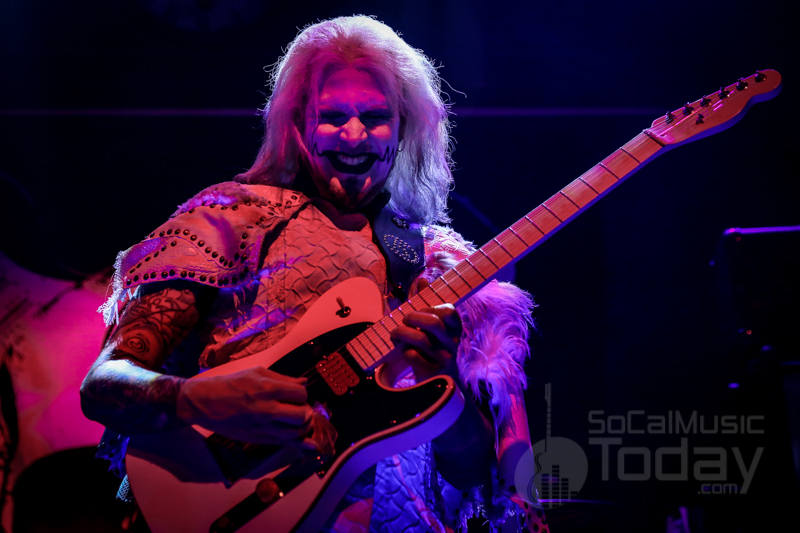 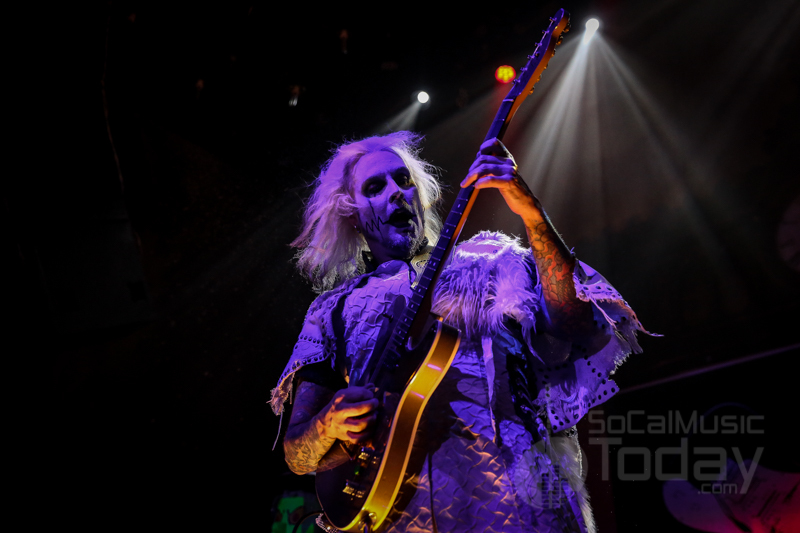 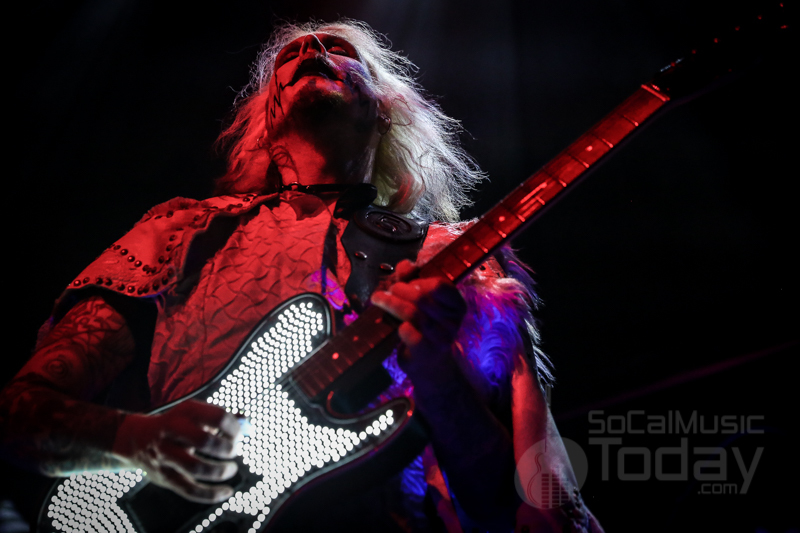 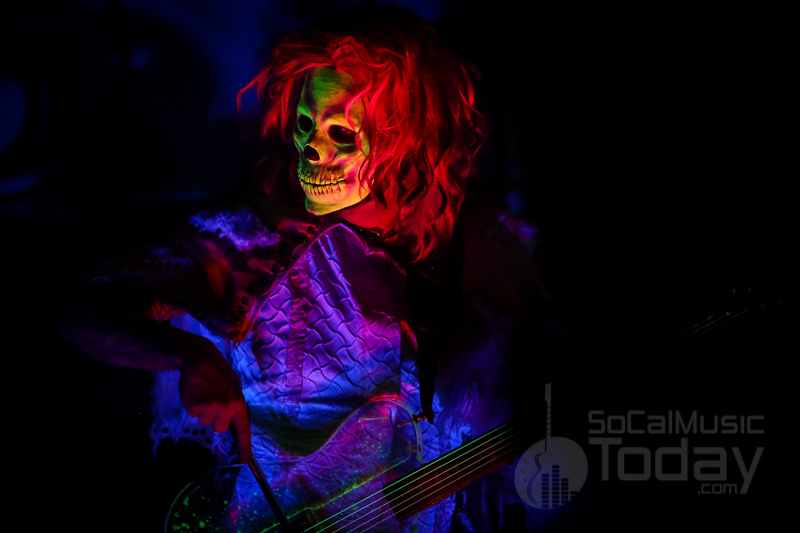 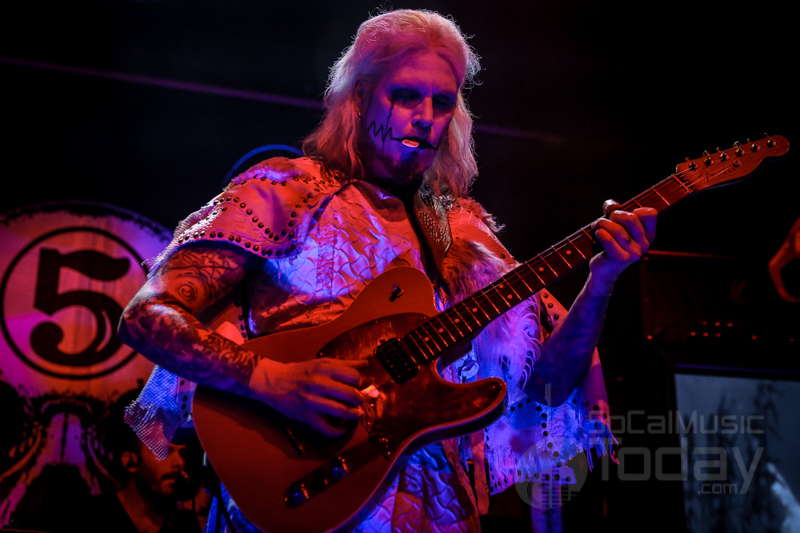 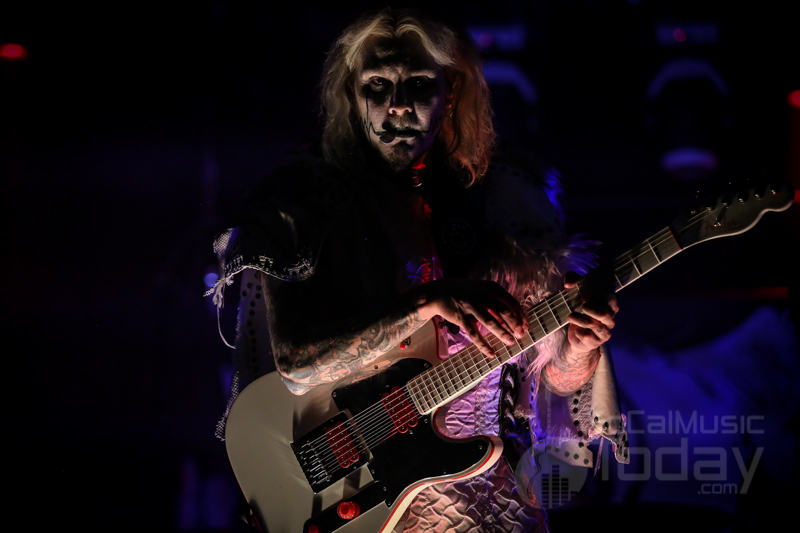 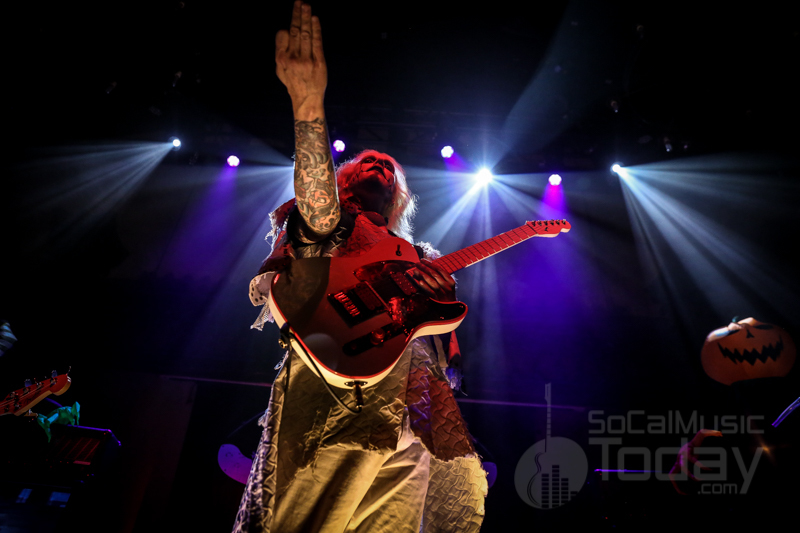 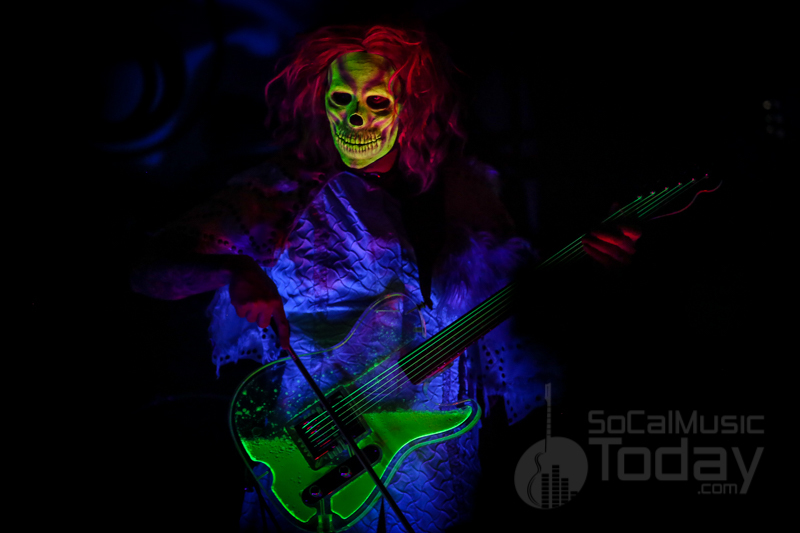 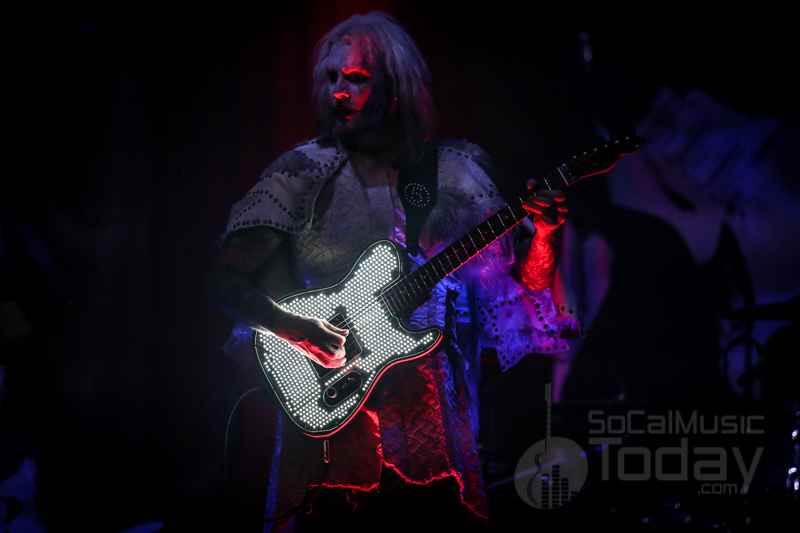 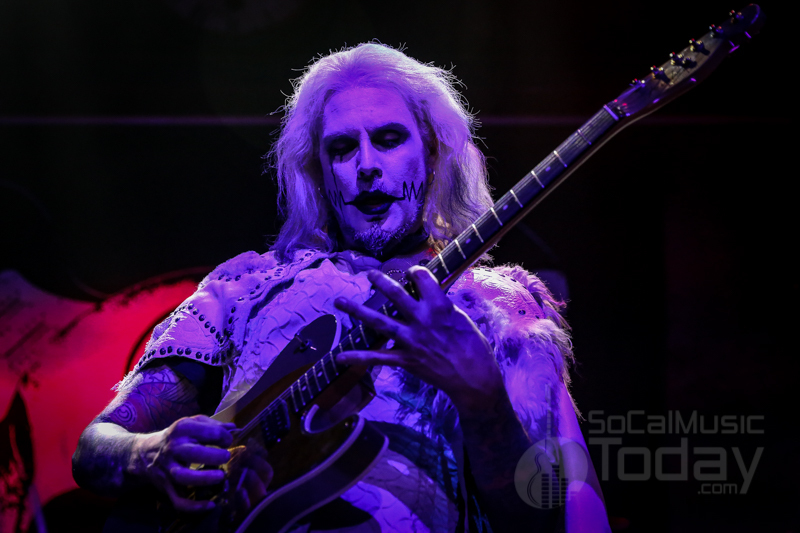 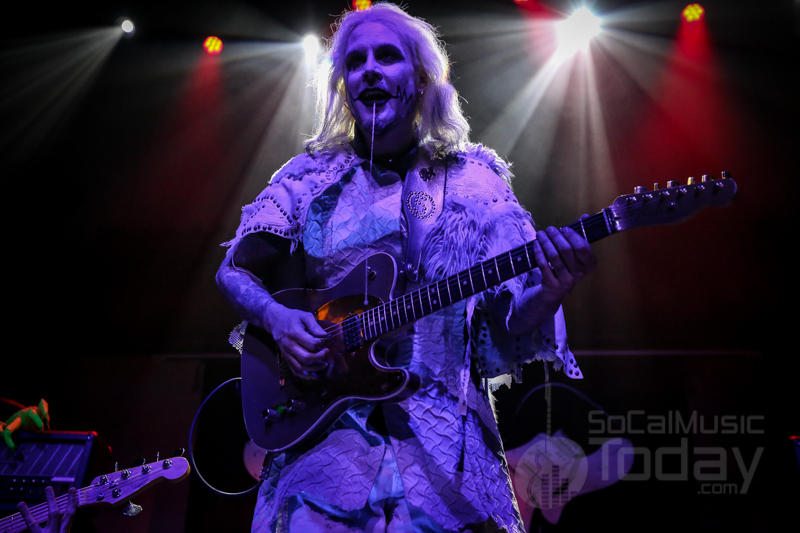 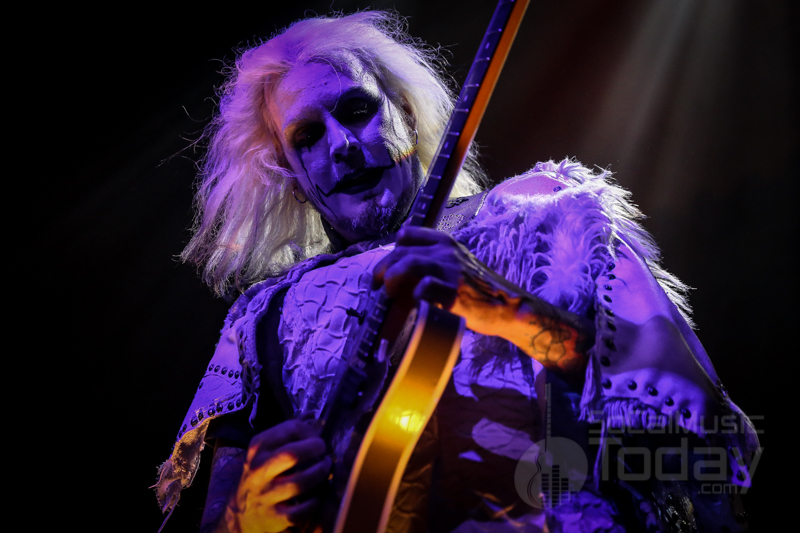 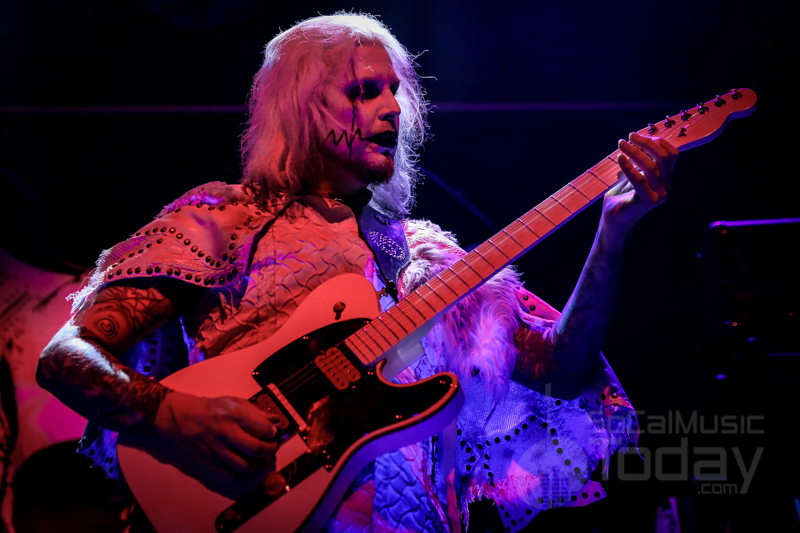 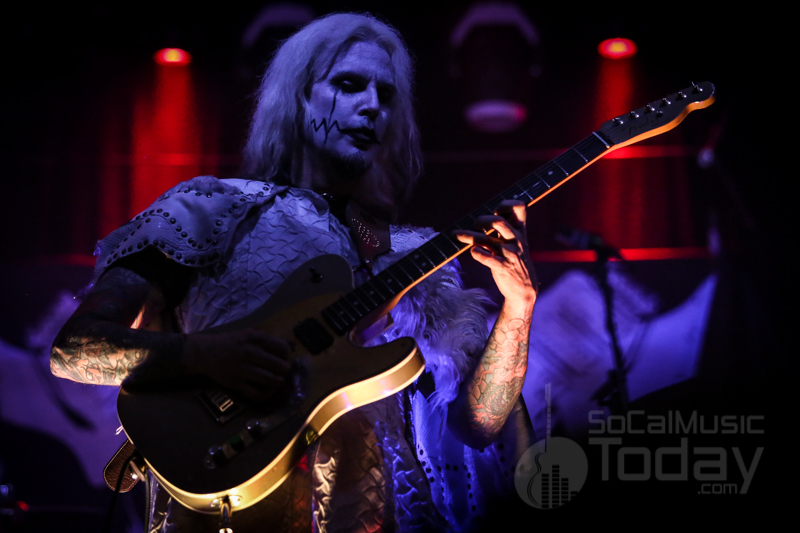 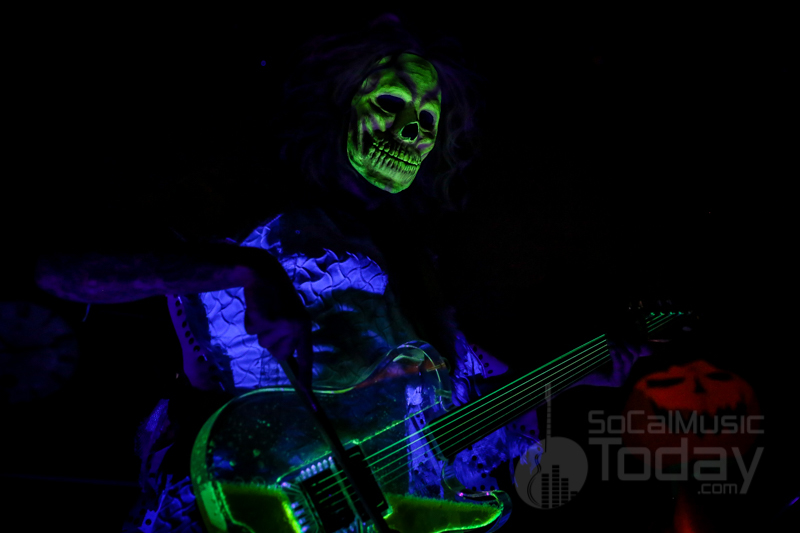 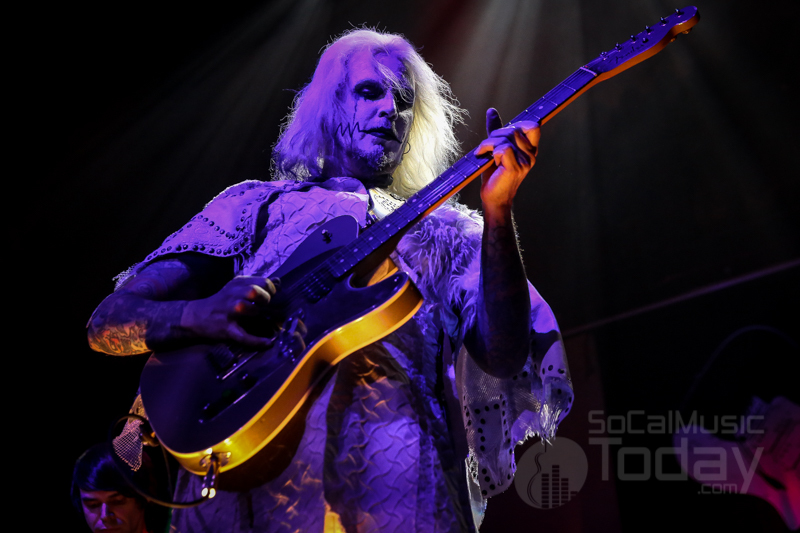 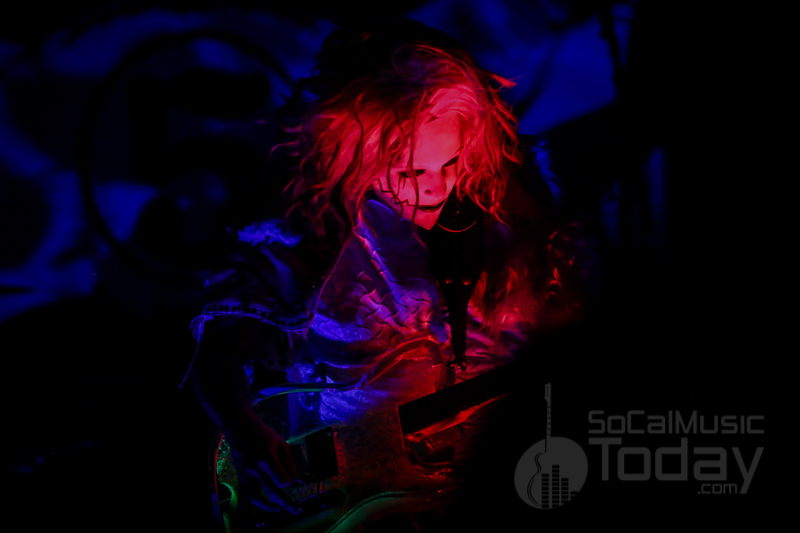 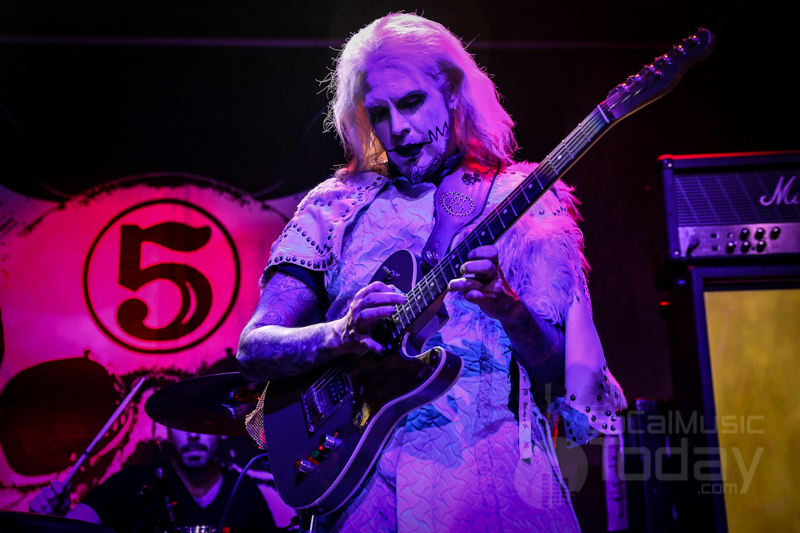 John 5 is unquestionably one of the most talented and creative guitarists in the music world today and not only is he a member of one of the biggest bands in the world – Rob Zombie – he has made quite a name for himself as a solo artist. 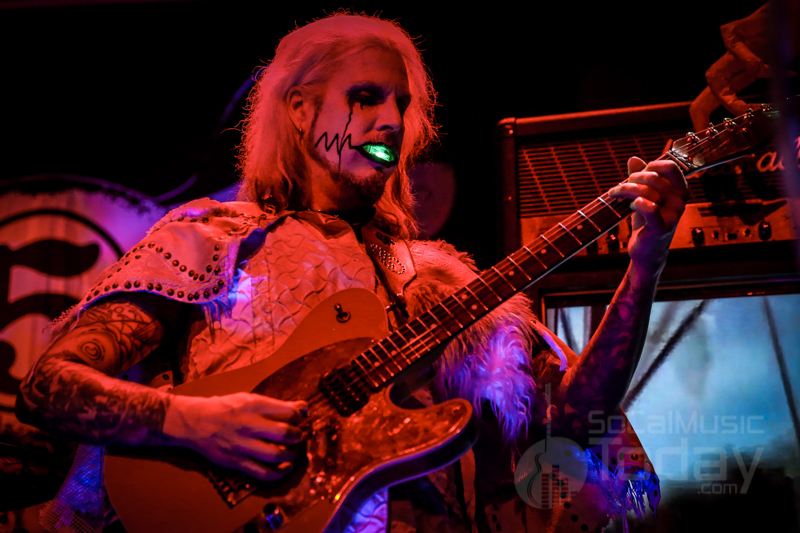 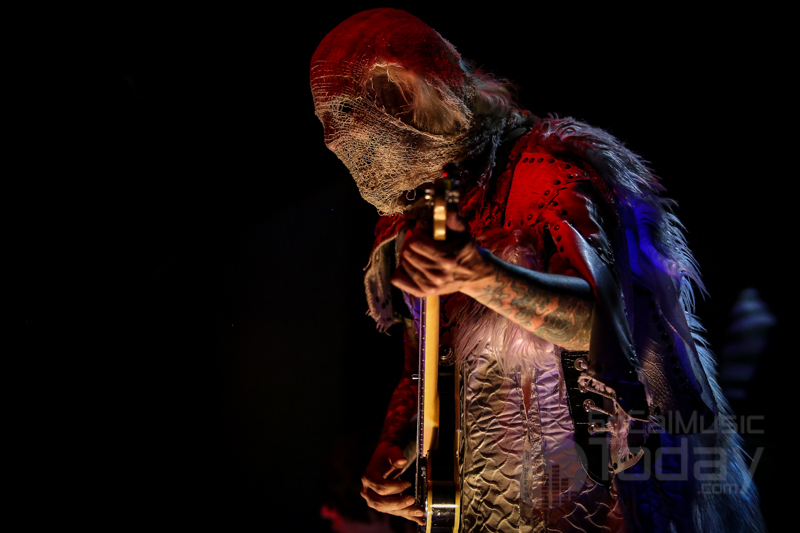 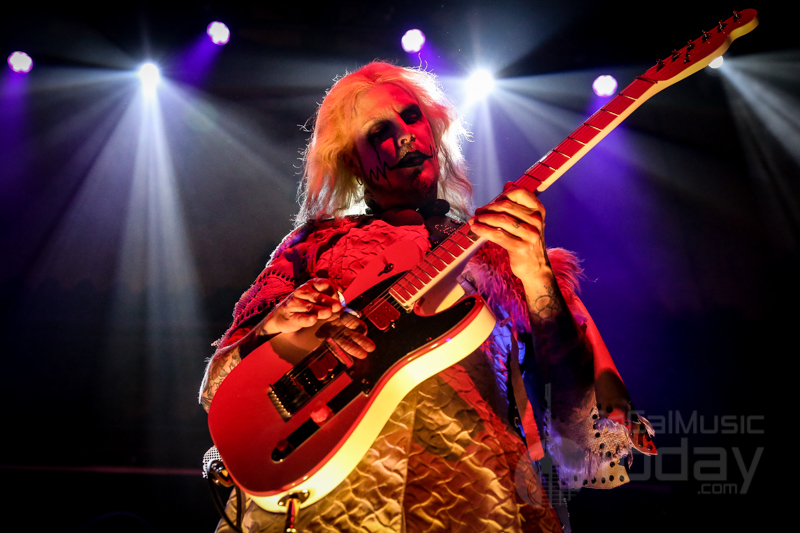 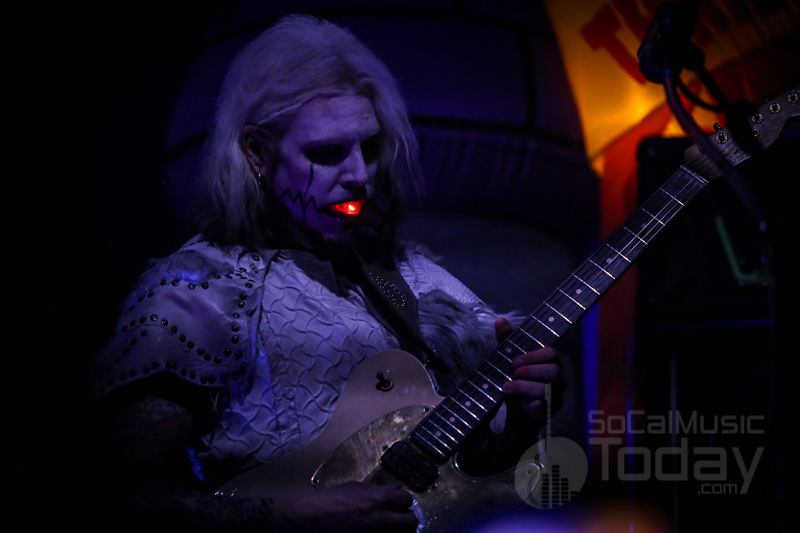 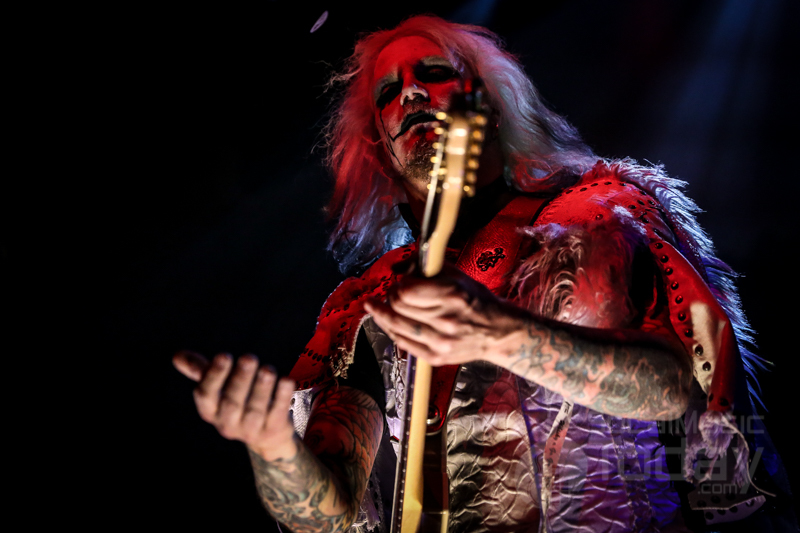 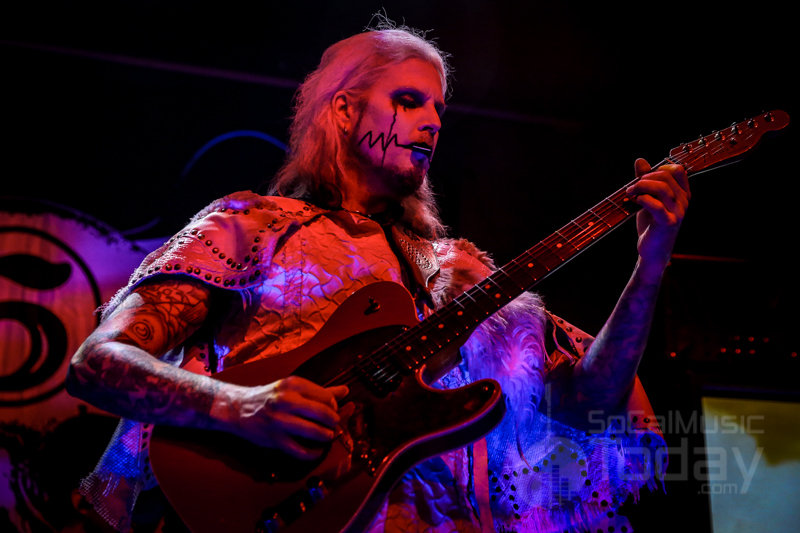 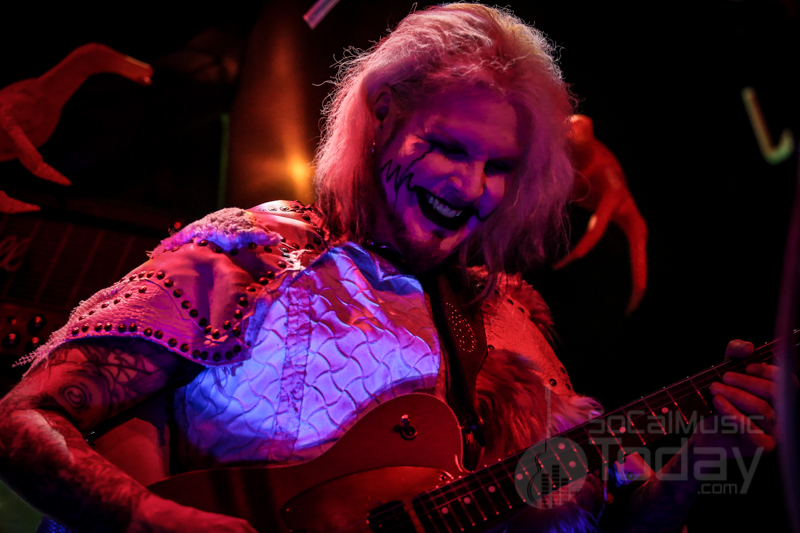 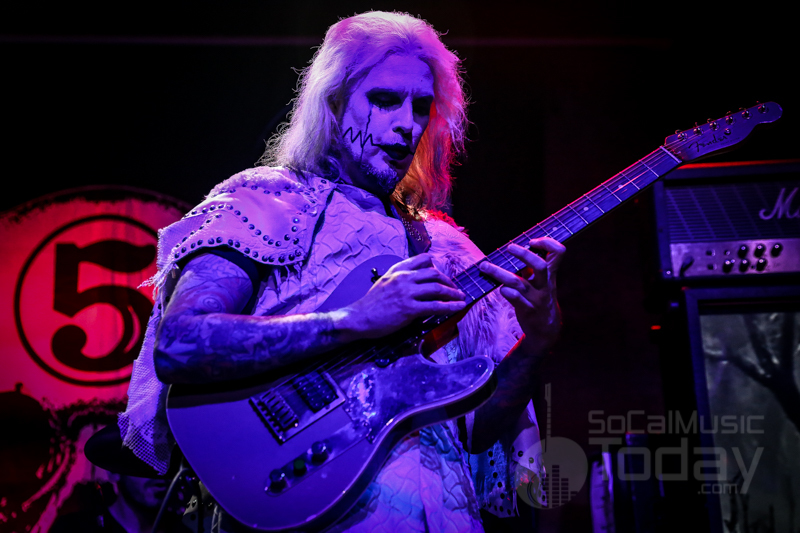 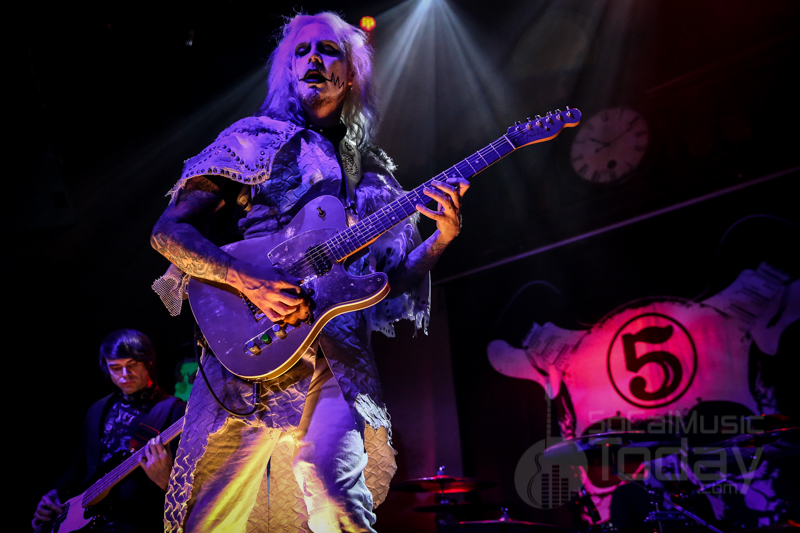 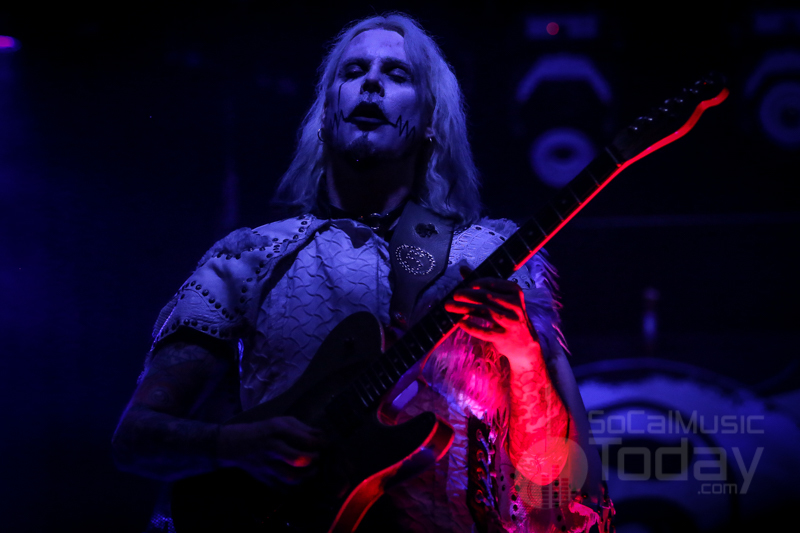 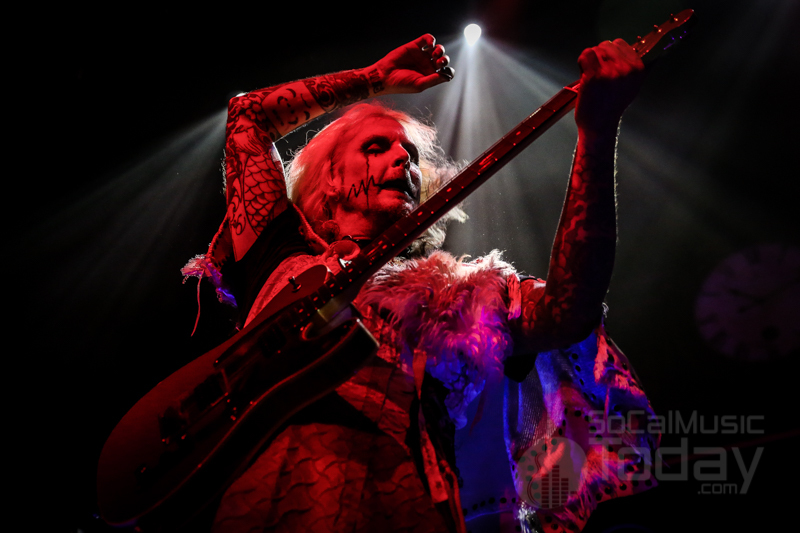 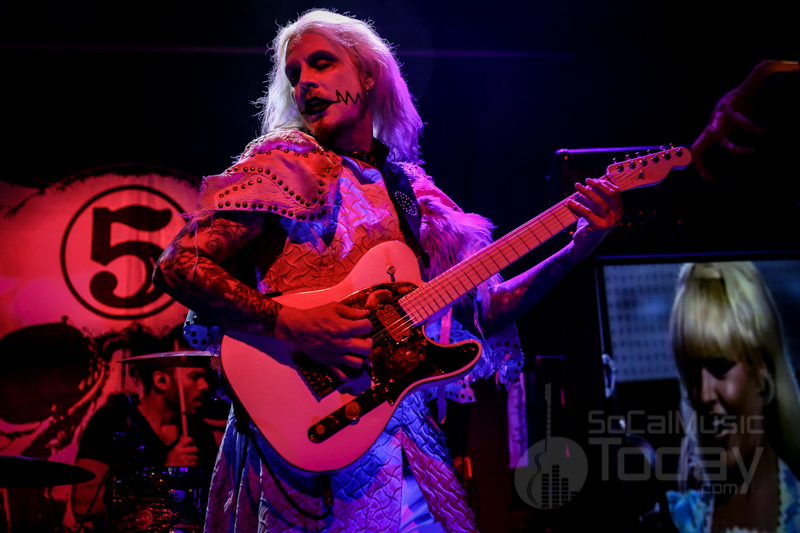 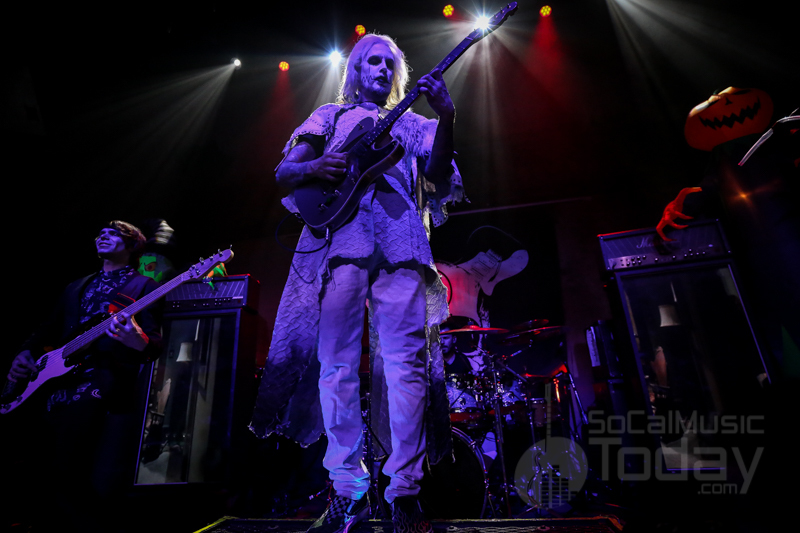 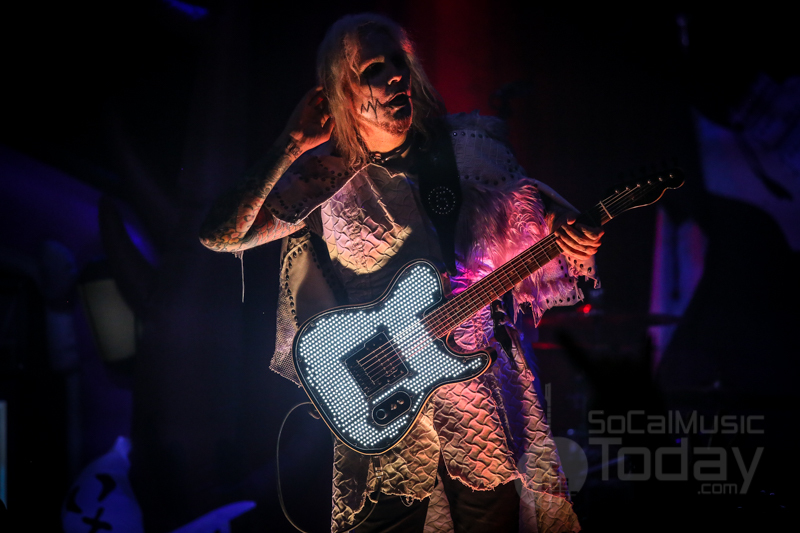 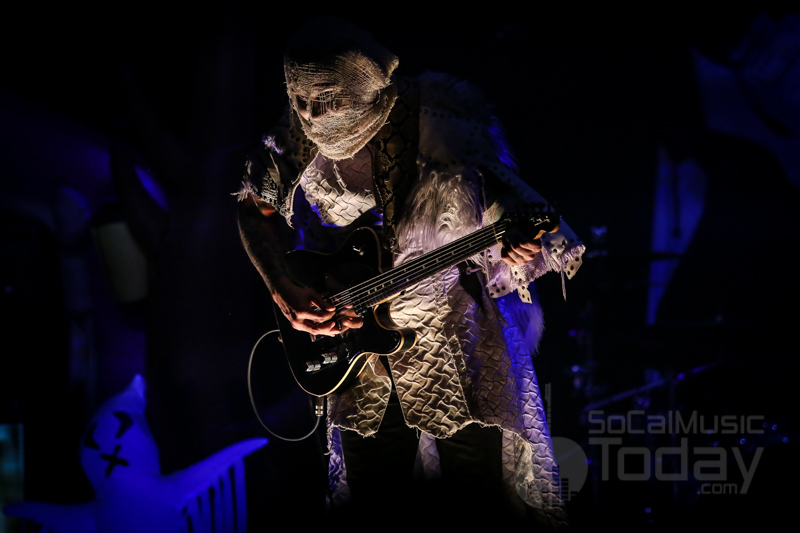 After several instrumental albums, John 5 decided to take his talents out on tour back in 2015 and for his current Invasion tour has been selling out venues across North America. 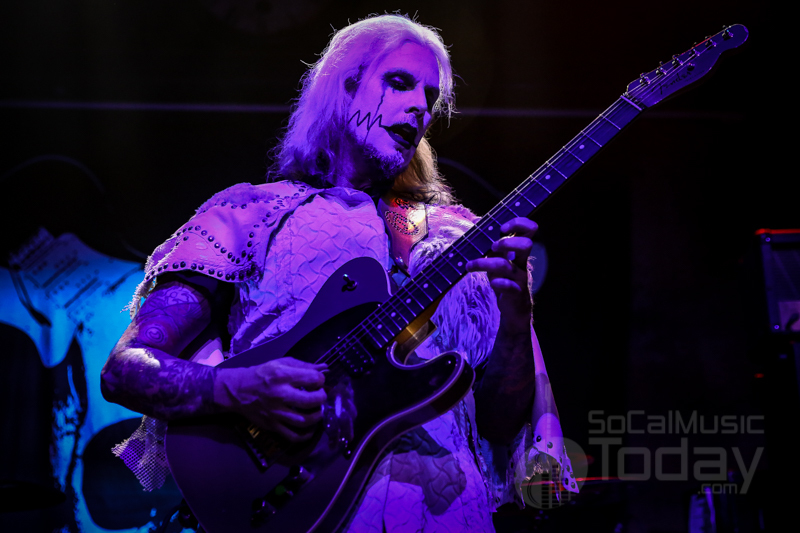 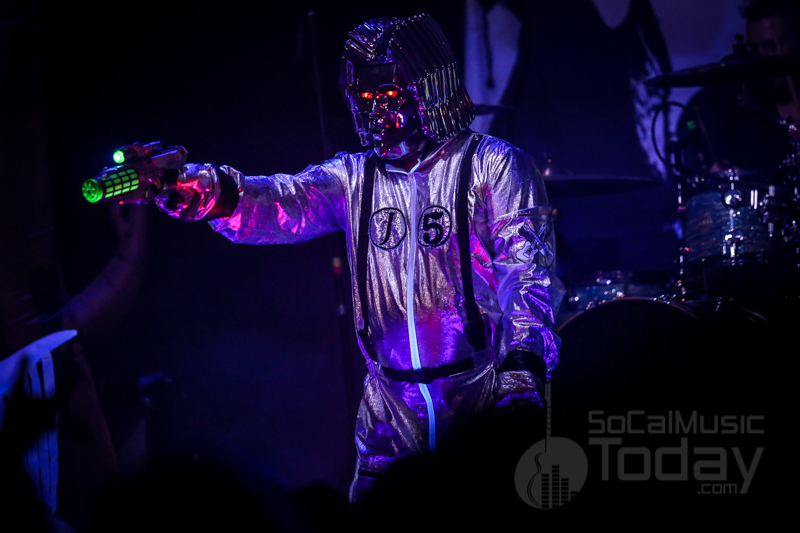 On April 6 and 7, John 5 and The Creatures invaded Southern California with a SOLD OUT show at The Whisky A Go Go in Hollywood (4/6) and then a SOLD OUT show at House of Blues in Anaheim (4/7). 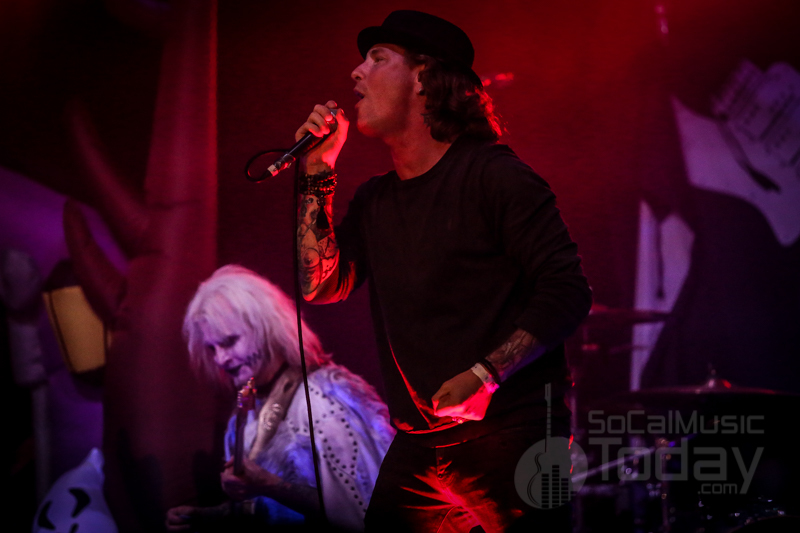 This six week tour ends on Sunday 4/14 with one last SoCal show at Brick by Brick in San Diego (also SOLD OUT). 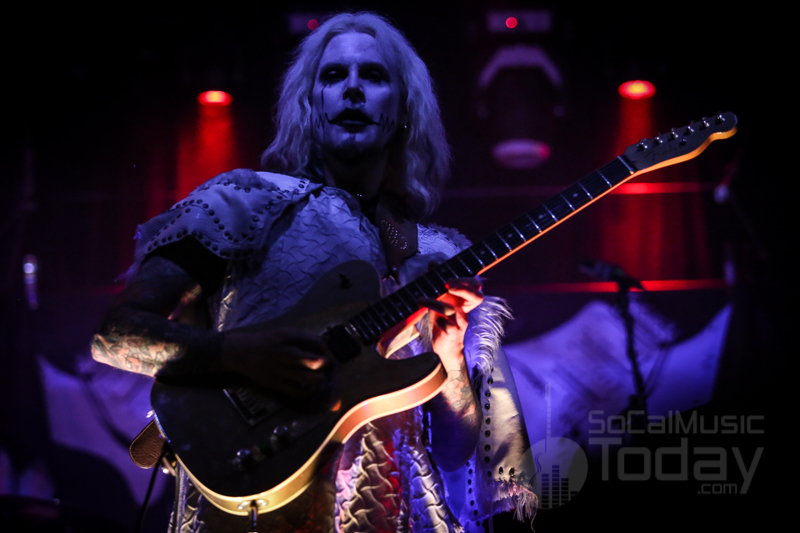 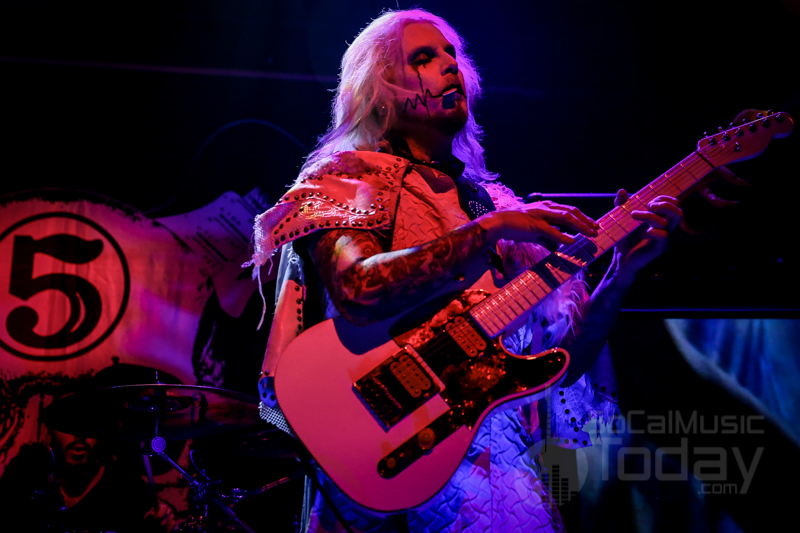 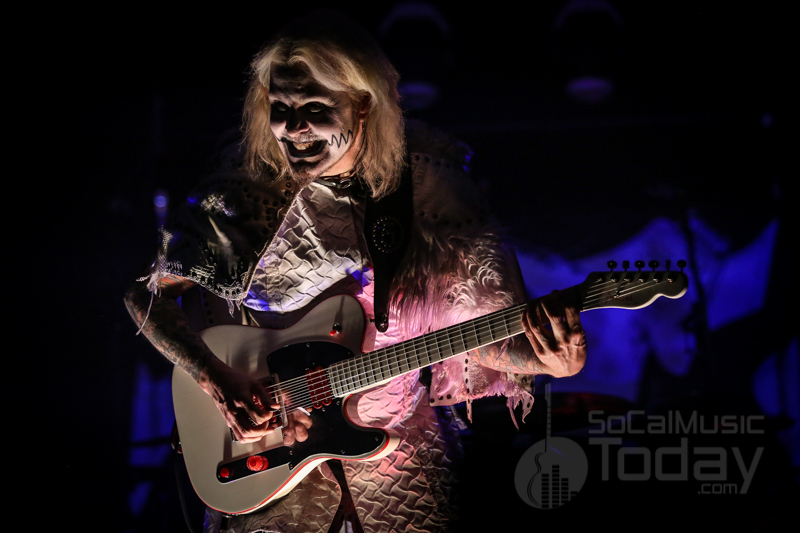 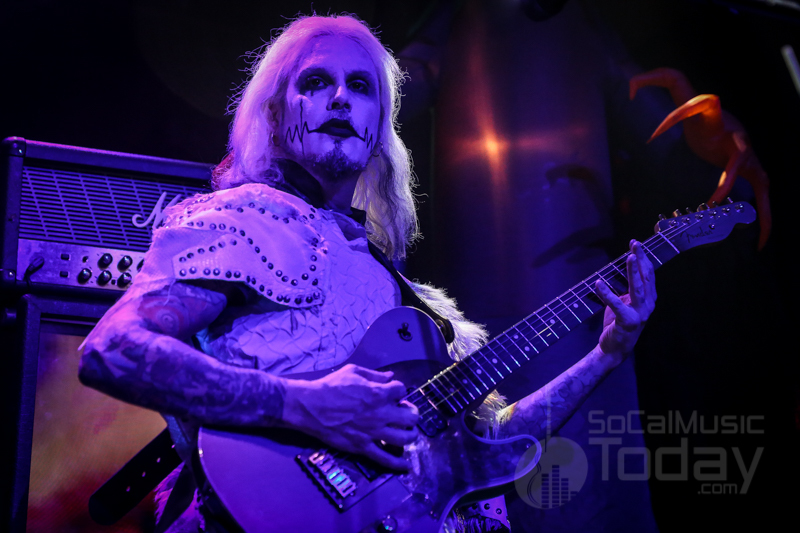 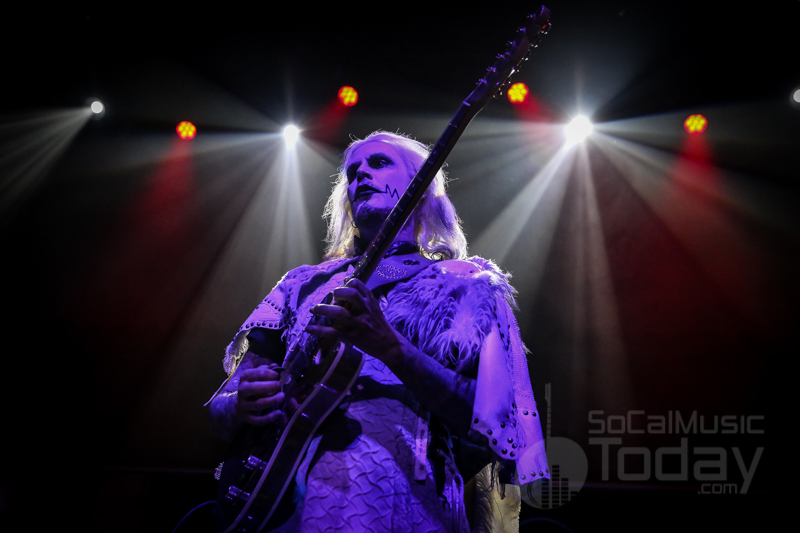 John 5 has taken an interesting approach to releasing his new album, instead of releasing it all at once; he is releasing one song (with video) on the first day of each month for several months – with that said and it being April, he has released four incredible new songs since January 1 – all of which you can hear live on this tour. 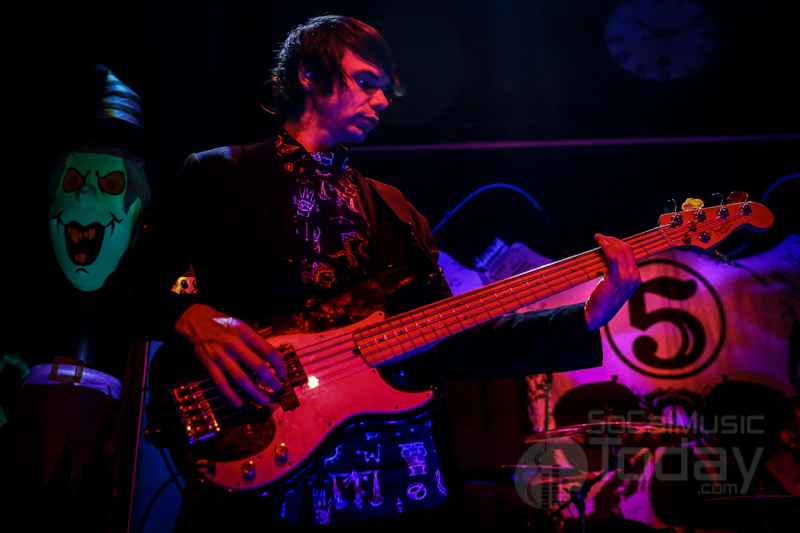 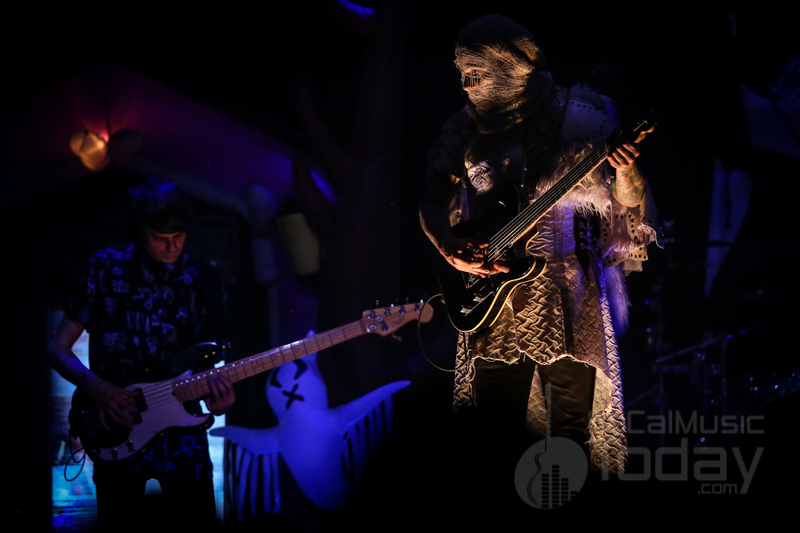 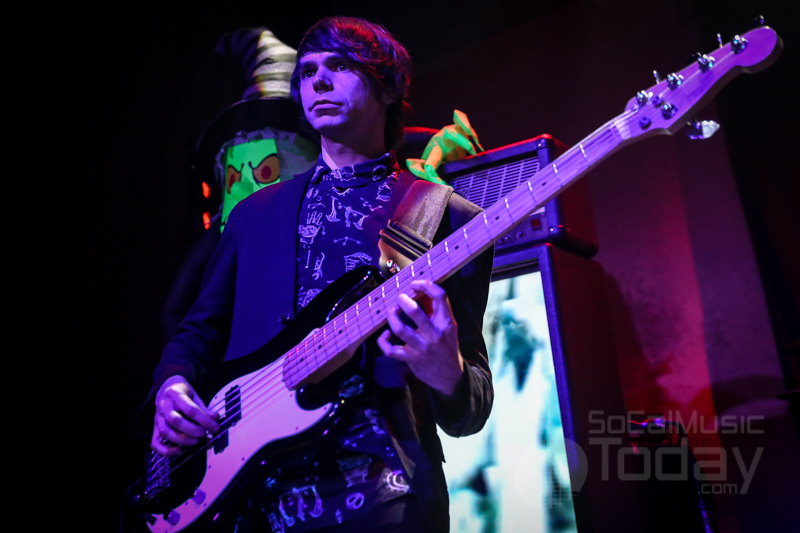 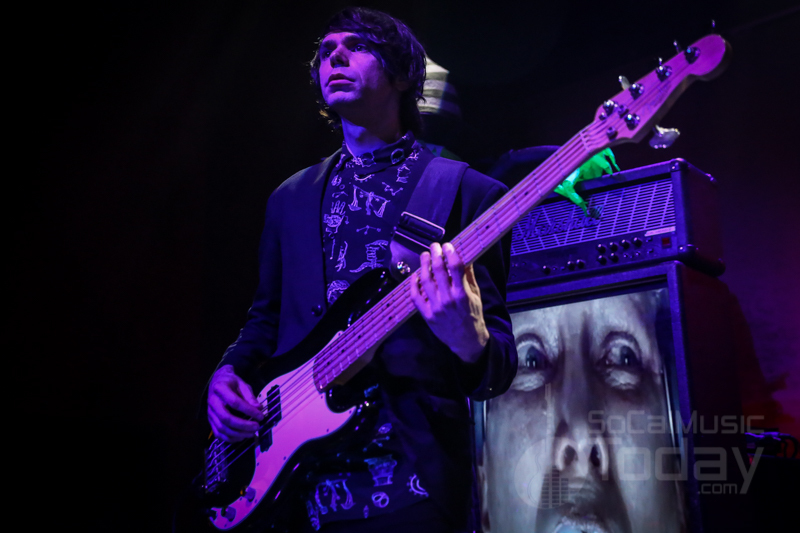 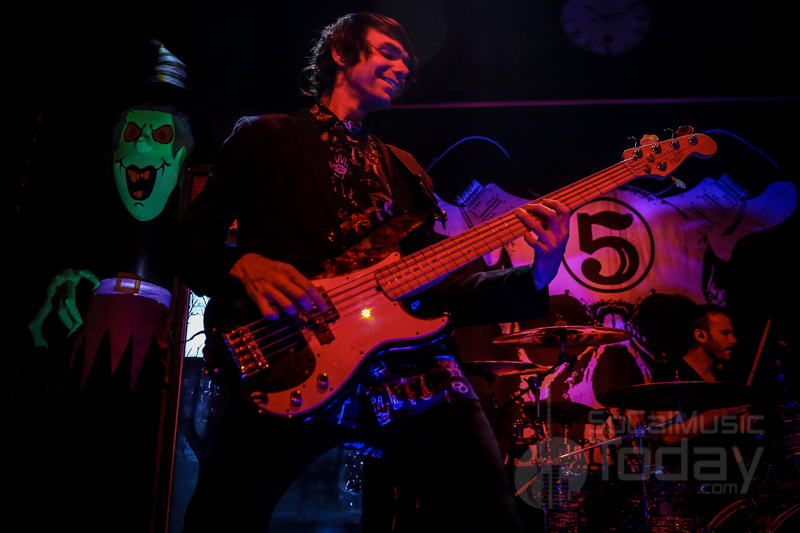 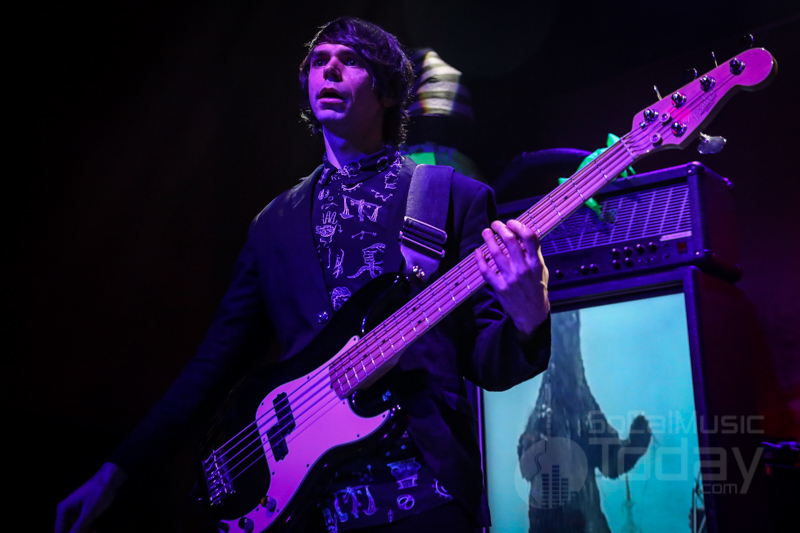 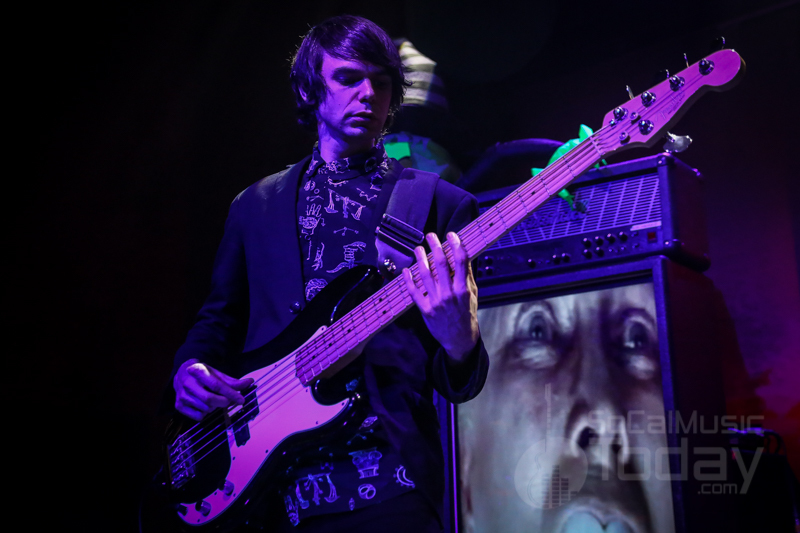 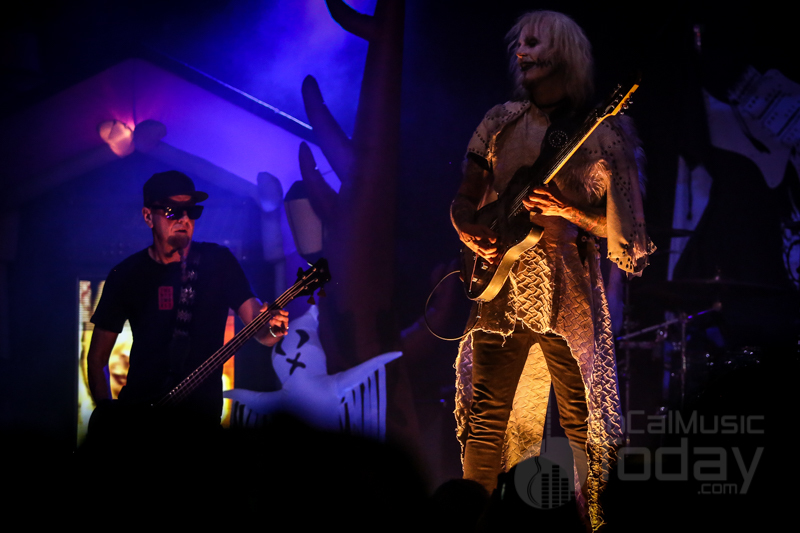 Making up John 5 & The Creatures are bass player Ian Ross and drummer Logan Miles Nix. 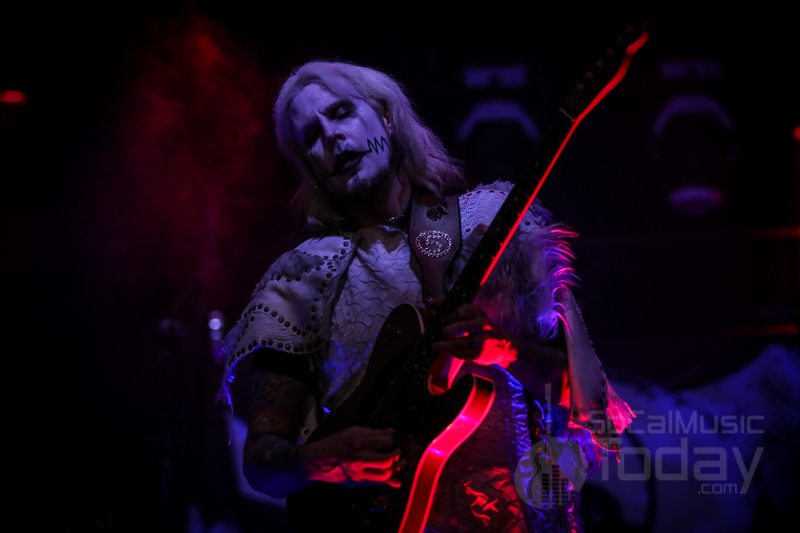 With a talent like John 5 you know these musicians are of high caliber as well. 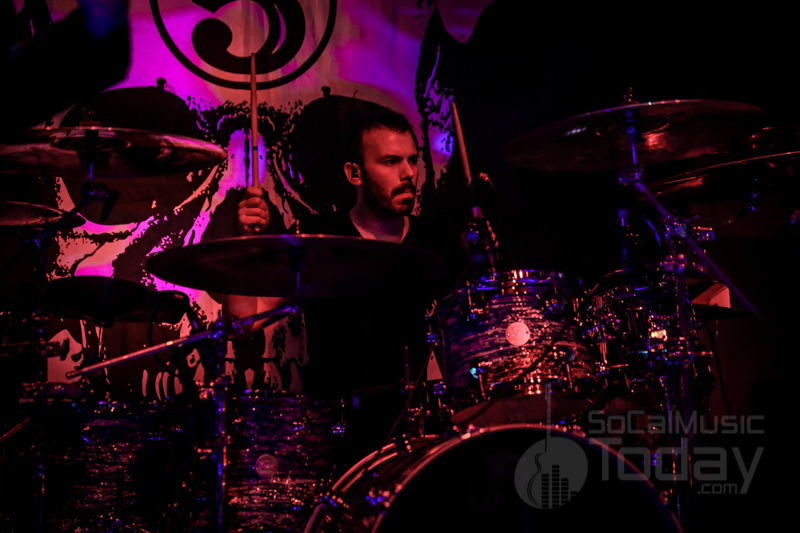 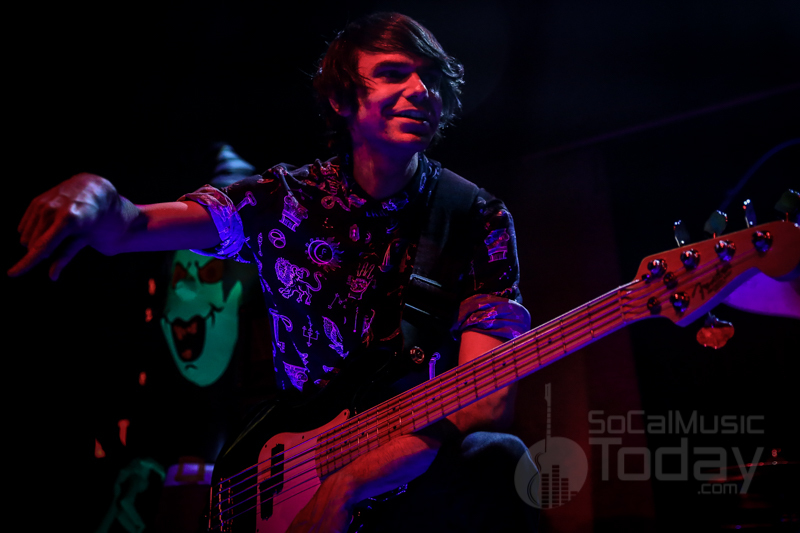 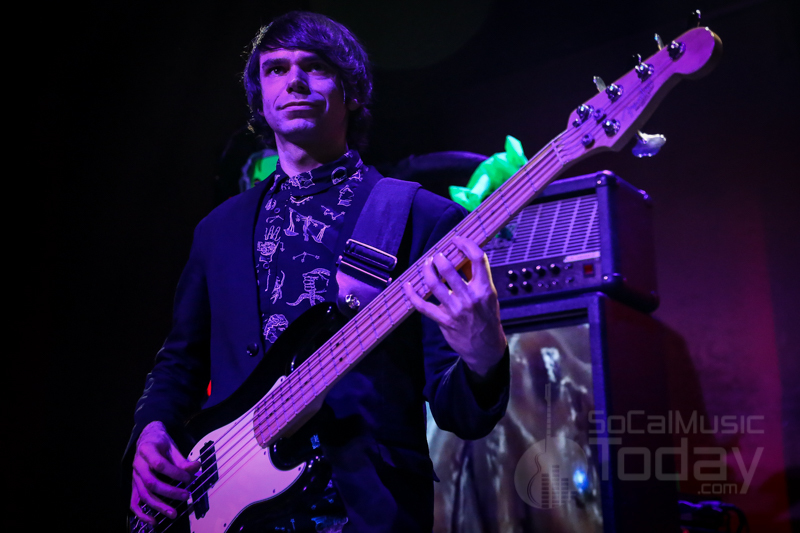 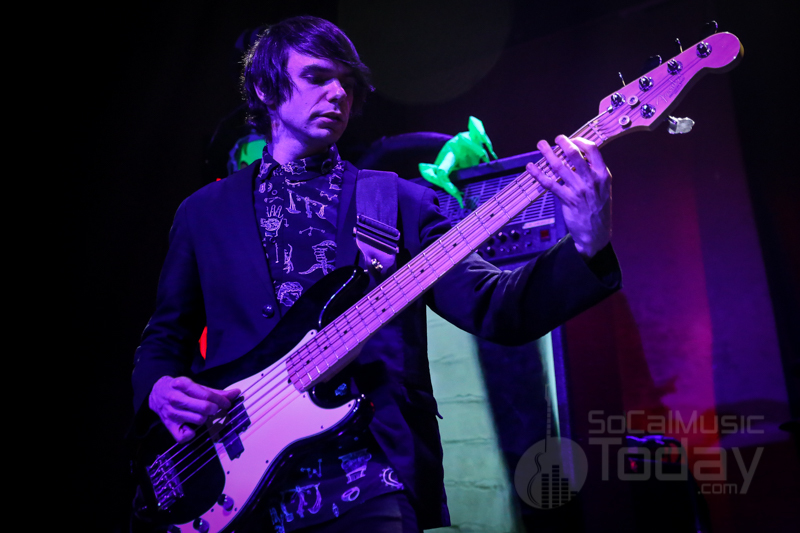 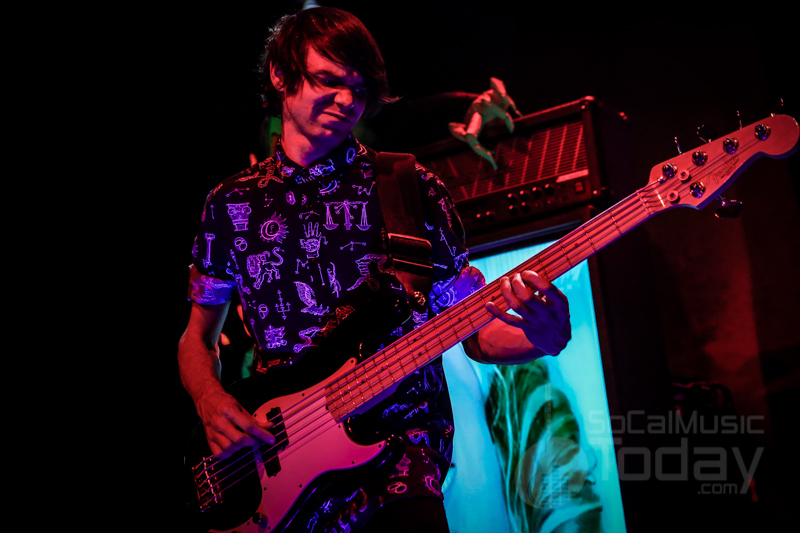 Ian Ross was handpicked by John 5 right out of Musicians Institute and Logan Miles Nix is an established drummer/songwriter/producer and an award winning Jazz percussionist. 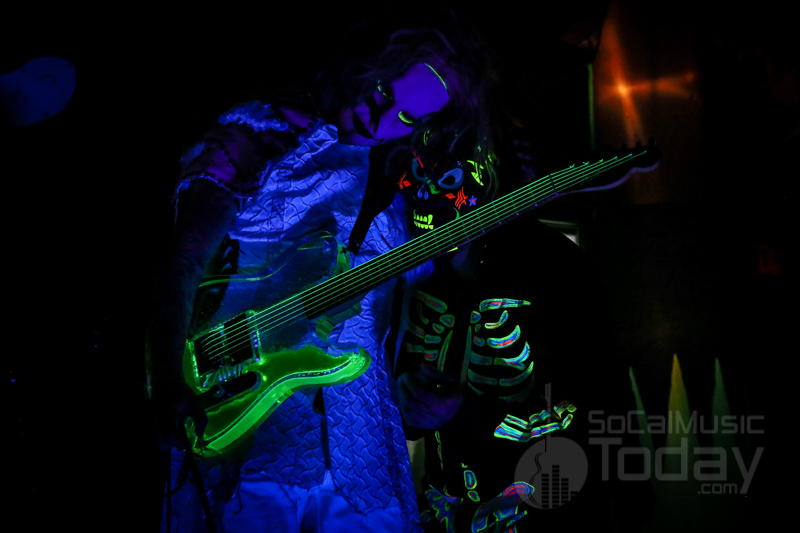 Together they have a remarkable chemistry once the music starts. 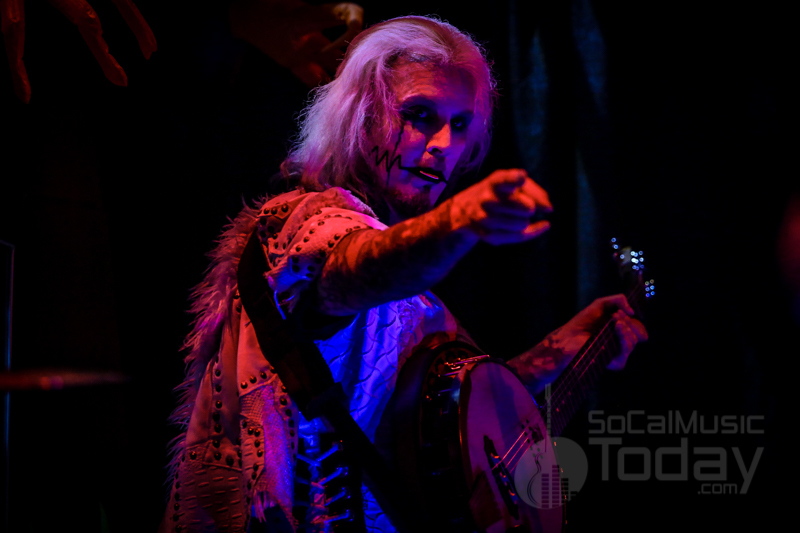 The live show is jam packed with all flavors of guitar music – songs with heavy riffs, bluegrass picking, slow melodies and everything in between. 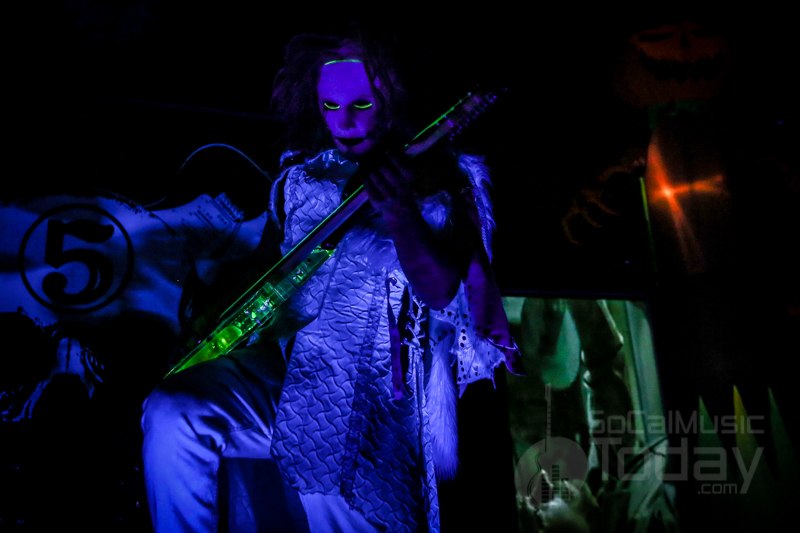 Complementing the fantastic musicianship is the visual of the live performance. 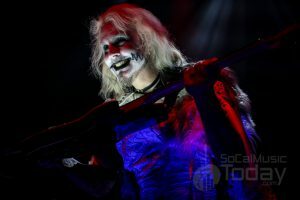 The stage is setup like a carnival; video monitors display monster movie clips and other various horror inspired visuals. 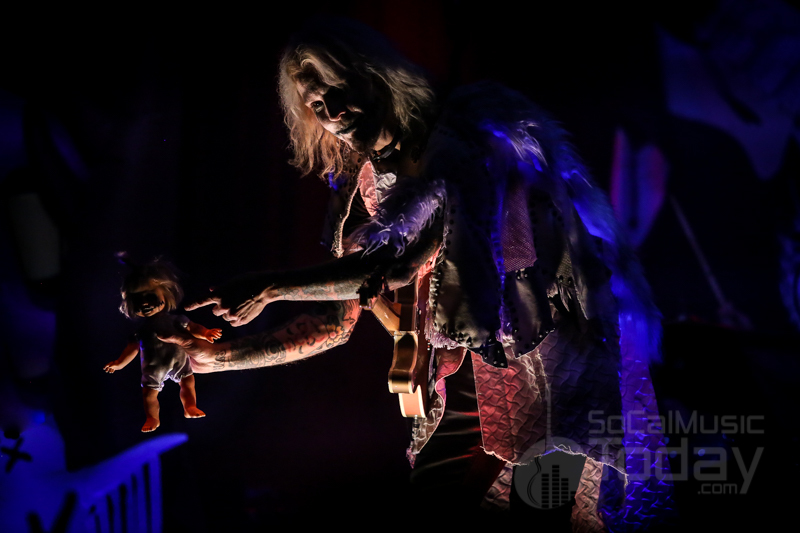 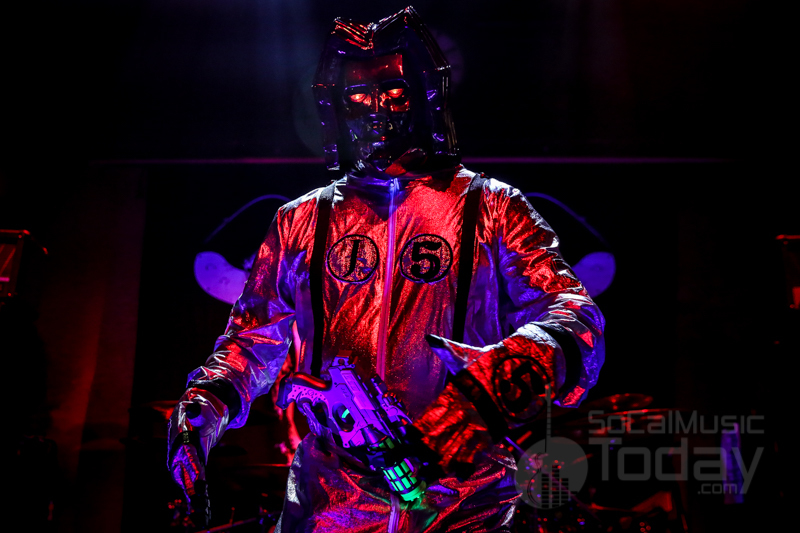 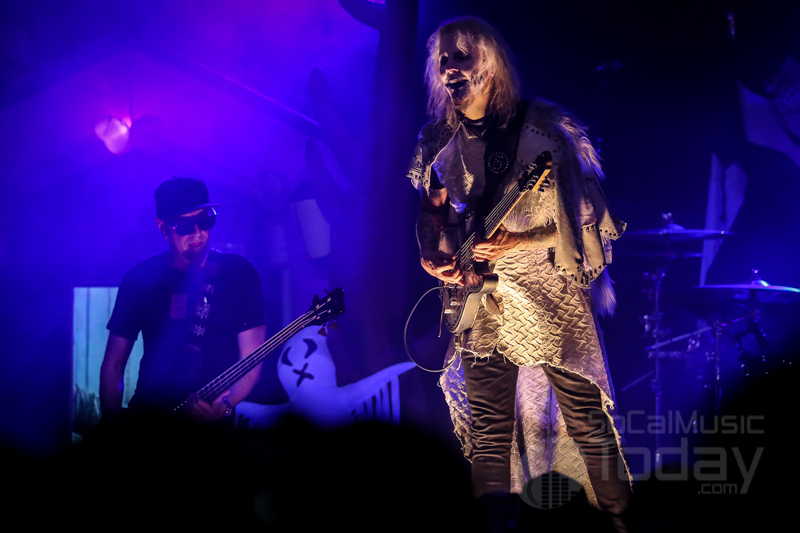 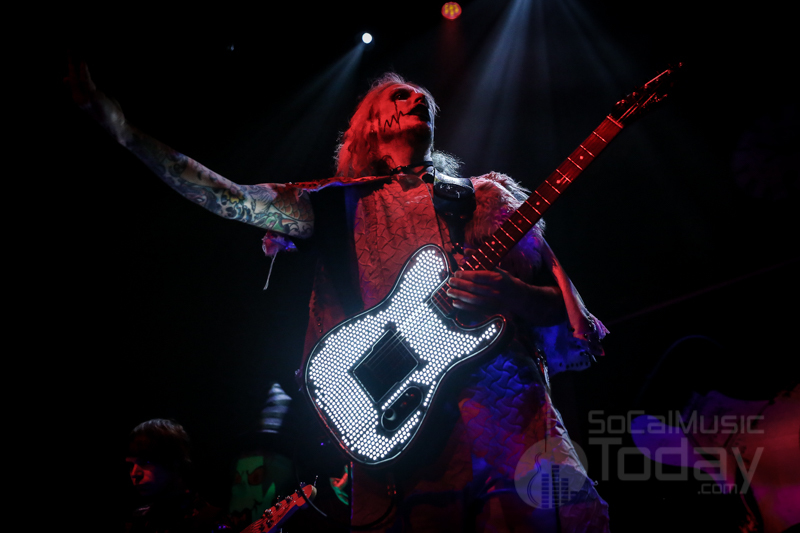 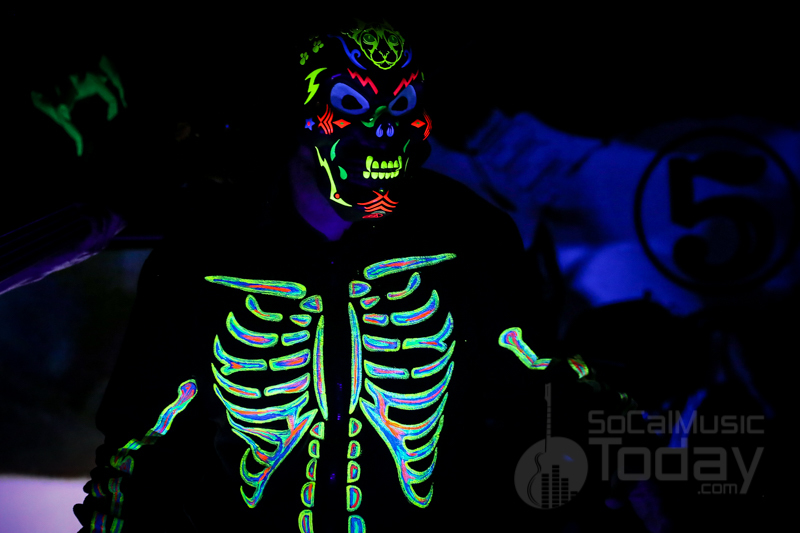 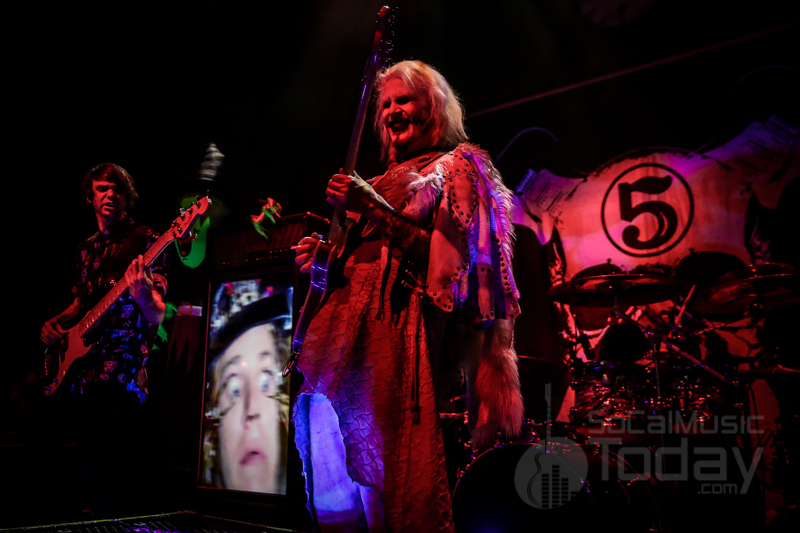 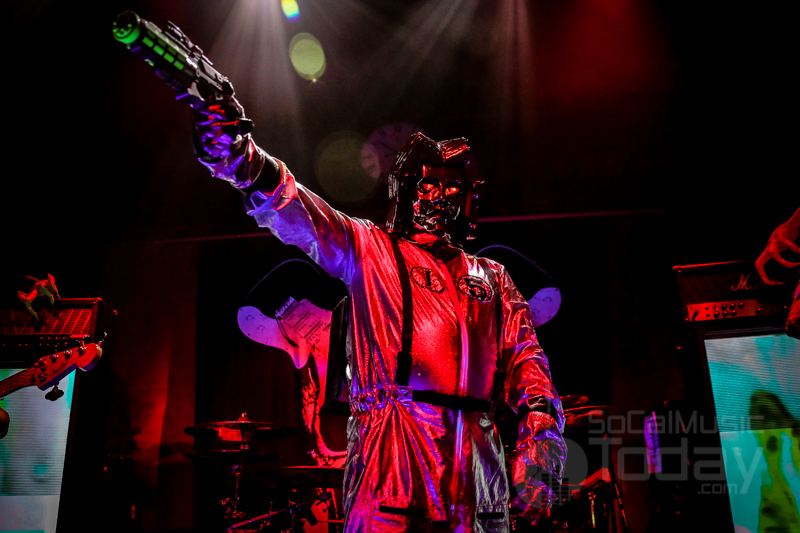 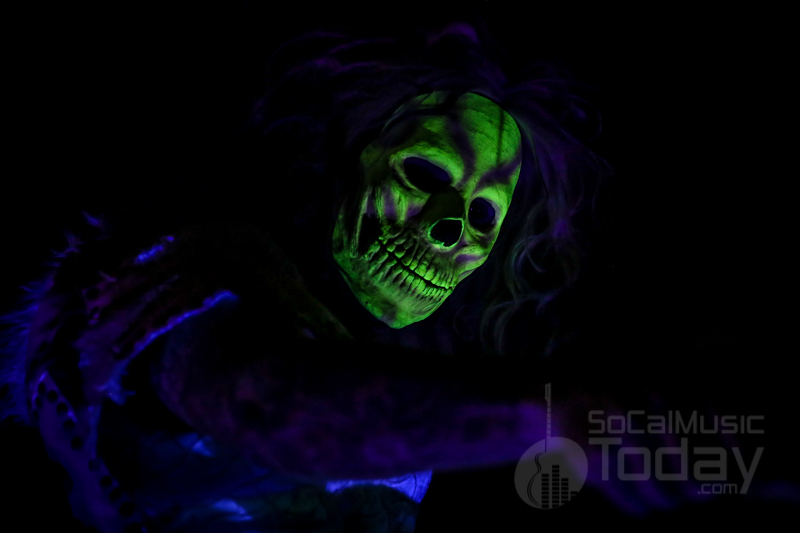 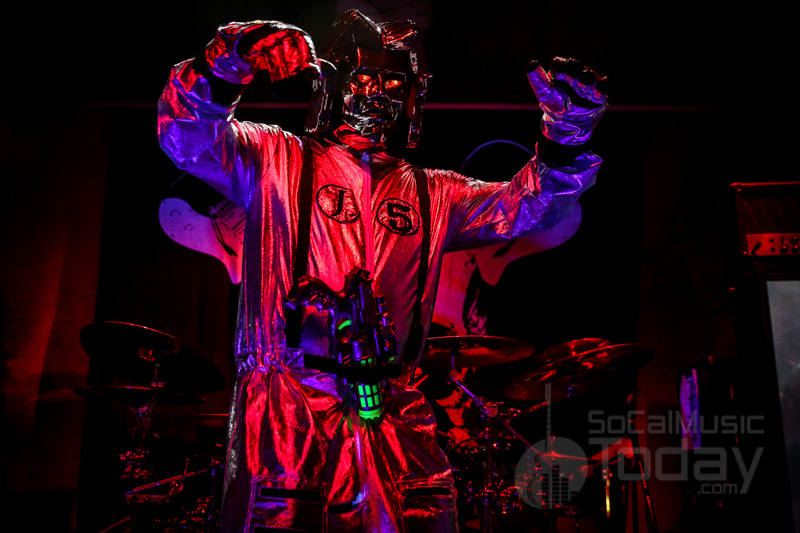 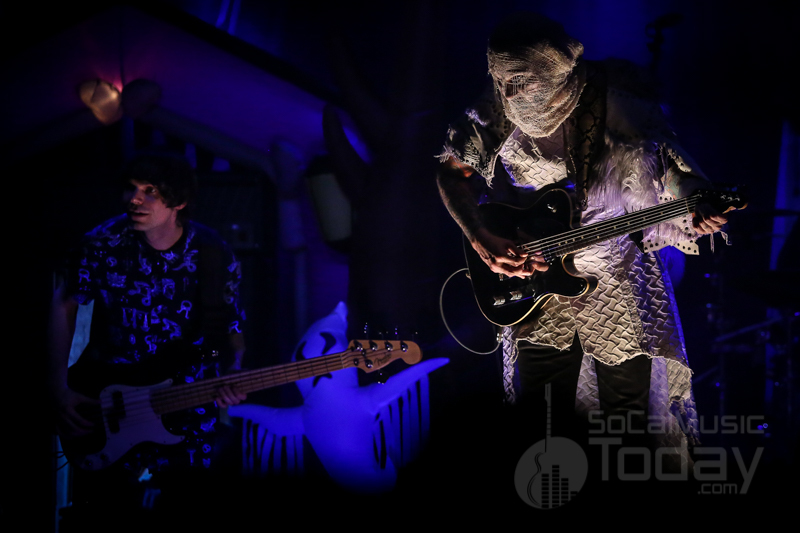 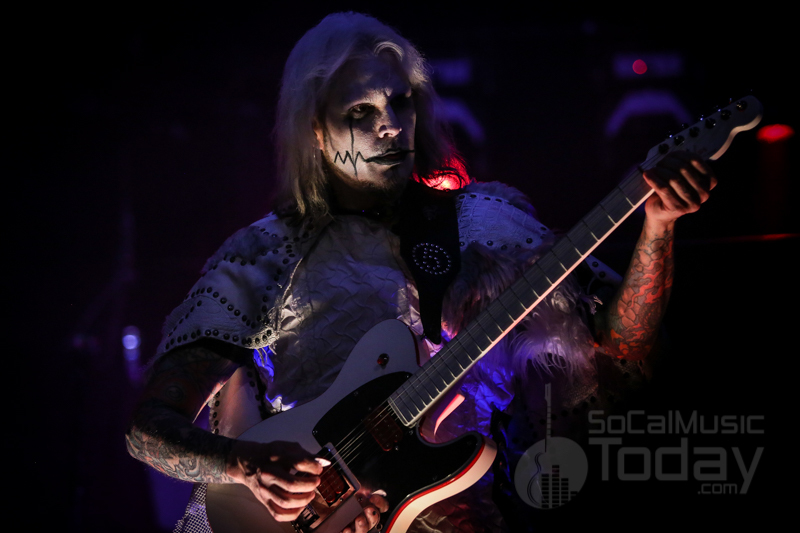 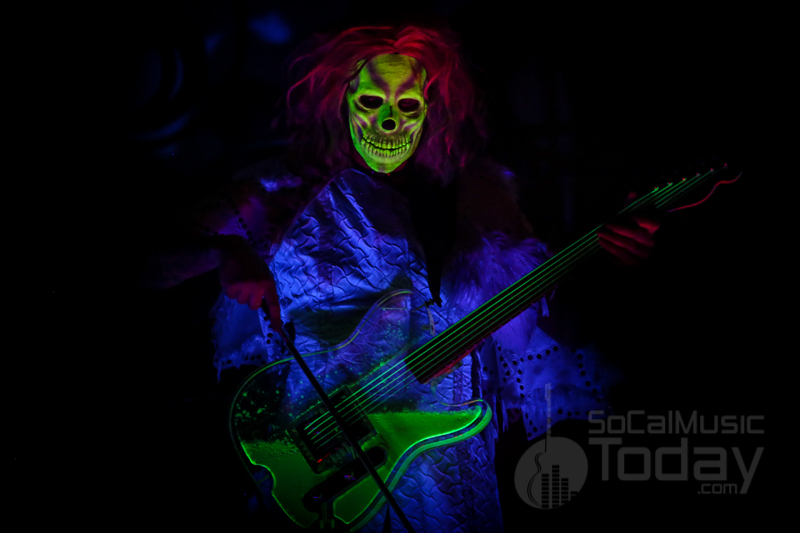 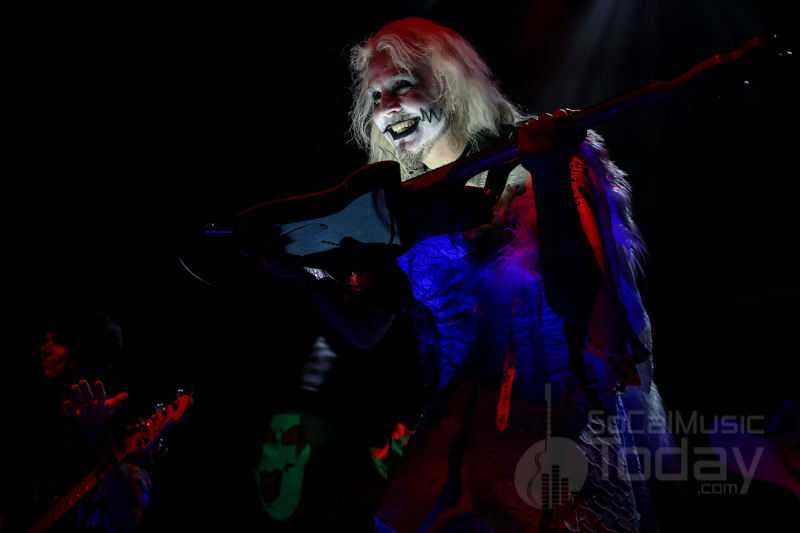 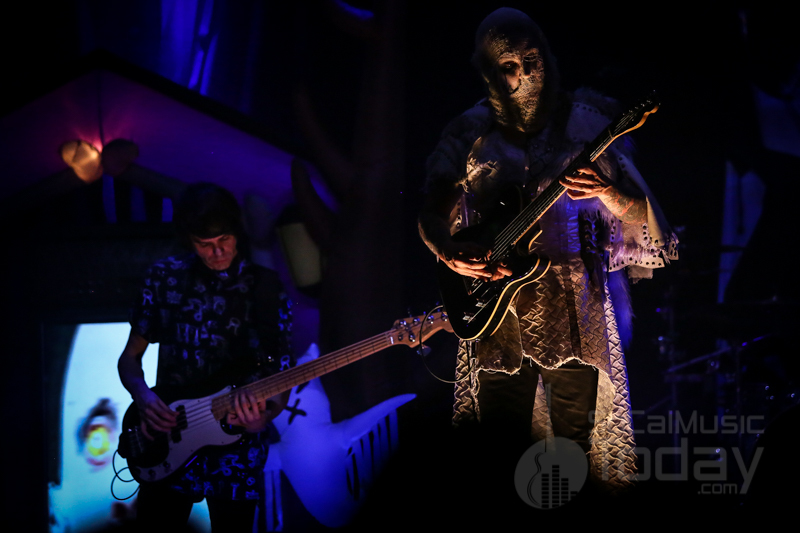 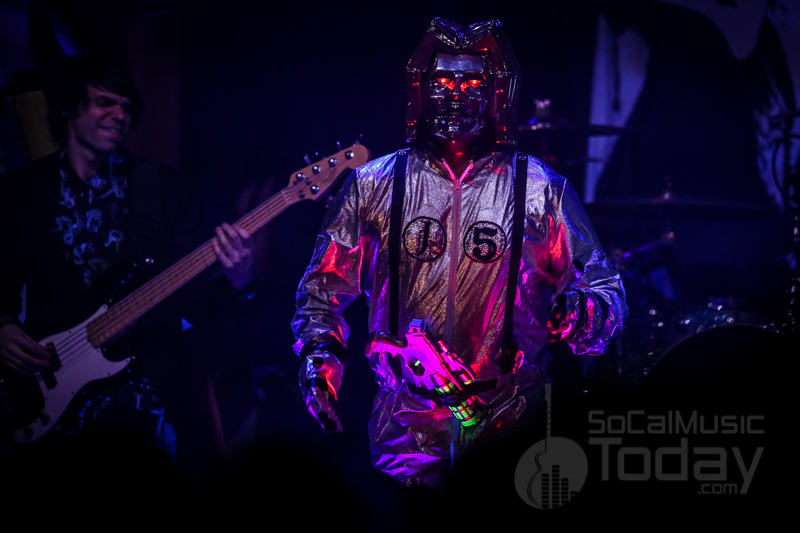 In addition to the KISS inspired facepaint and stage clothes, John 5 incorporates masks, hats and other miscellaneous props that along with the music make for an unforgettable live experience. 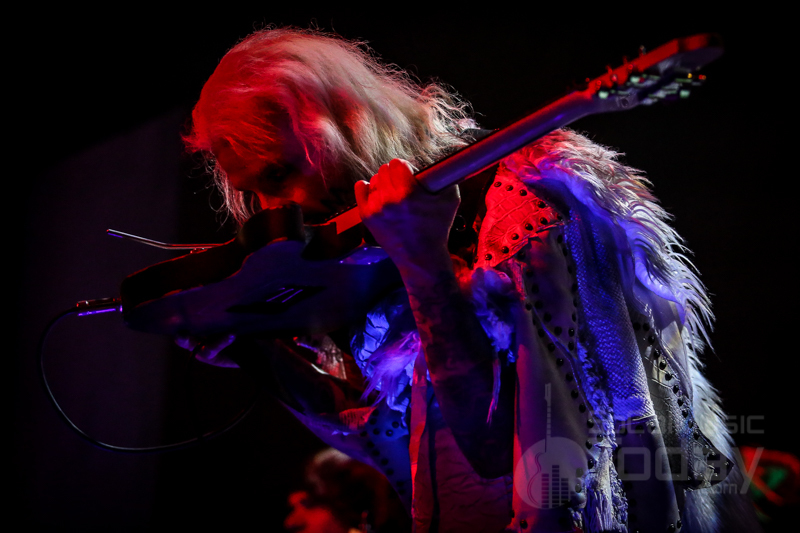 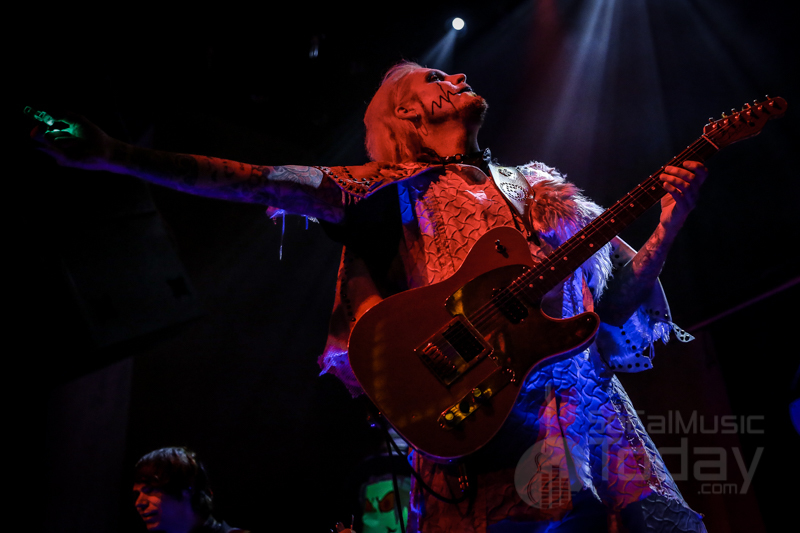 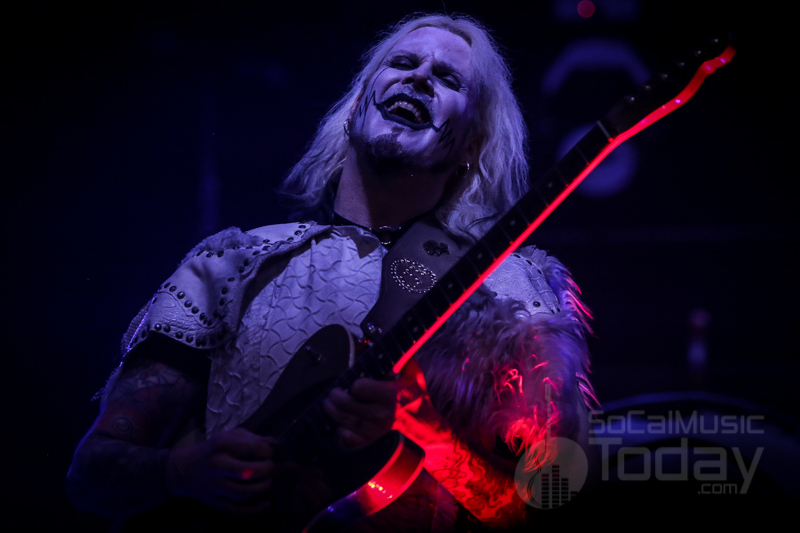 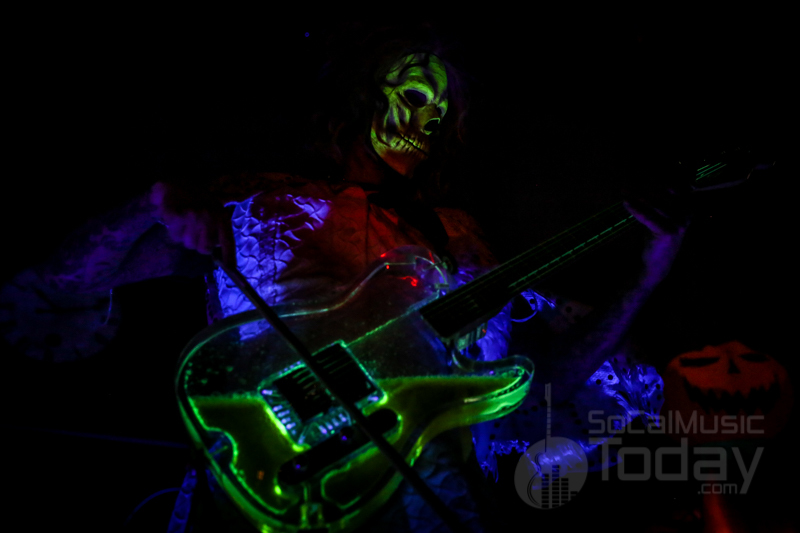 And let’s not leave out the inhuman guitar playing demonstrated by John 5. 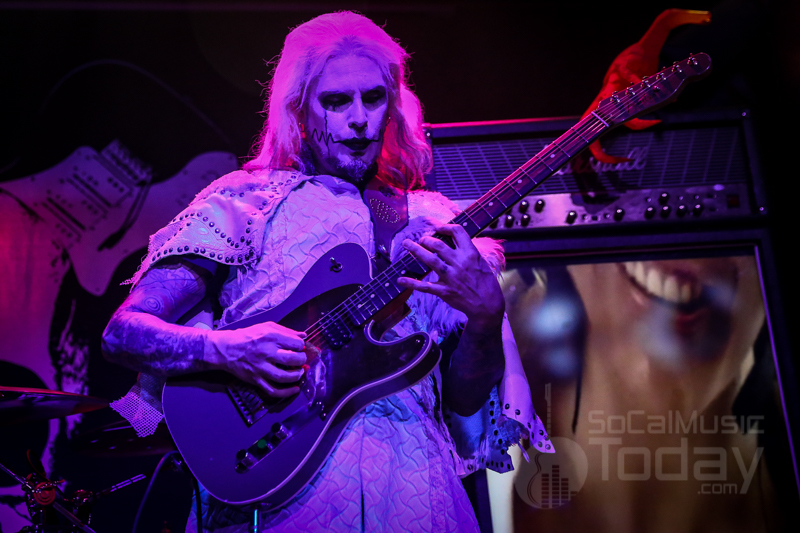 He makes playing look criminally effortless as you watch his fingers move at lighting speed up and down the guitar neck. 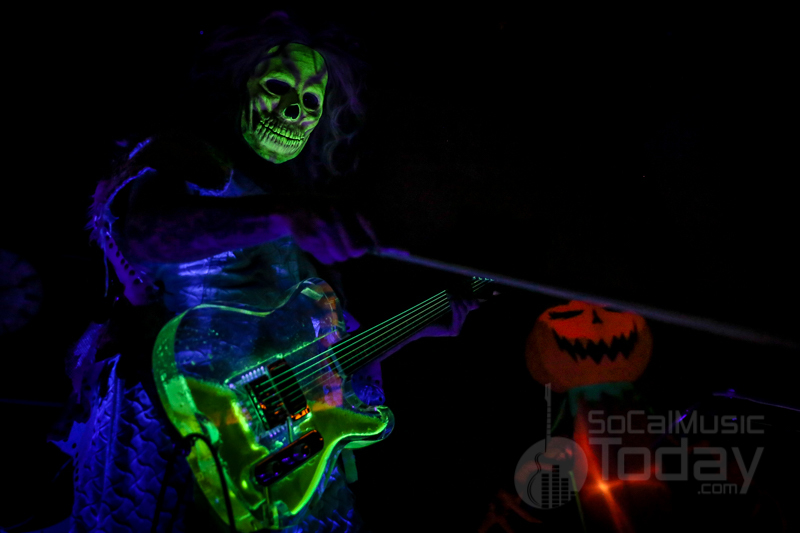 One of the highlights of the show is when he plays a clear Telecaster filled with glowing green liquid and takes a bow to it Jimmy page style. 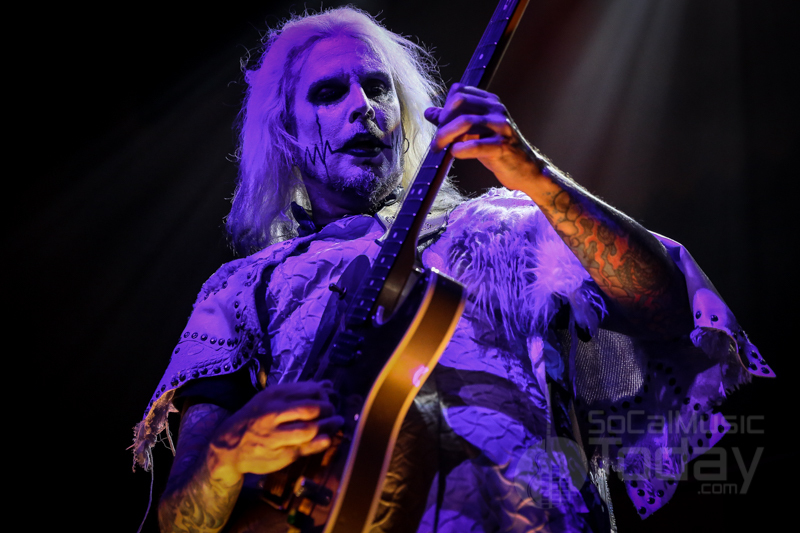 Also now added to his amazing catalog of music are the four new songs “Zoinks!”, “Crank It”, “I am John 5” and “Midnight Mass” – those along with older material such as “Six Hundred and Sixty Six Pickers in Hell, CA”, “Hell Haw” and “Here’s to the Crazy Ones” makes for a well-rounded musical assault on your ears. 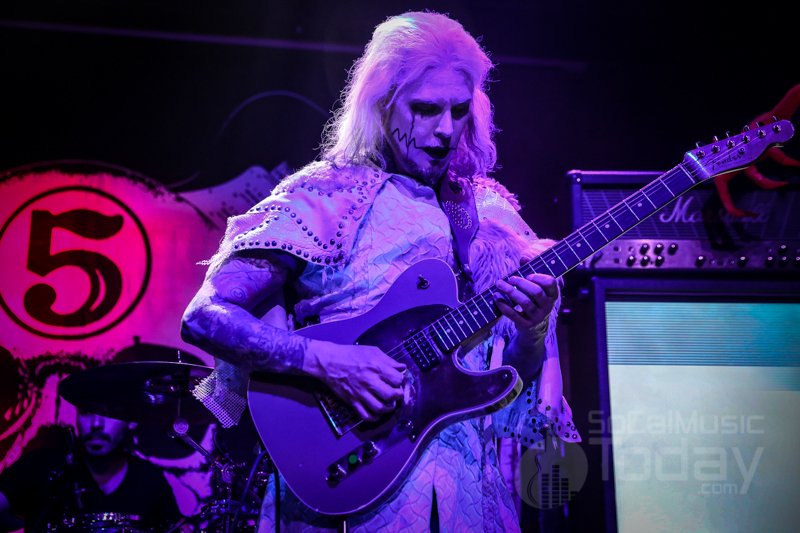 Another highlight to the show is a medley of classic guitar riffs that this time around includes Rush, Megadeth, Led Zeppelin, The Police and many more – the crowd always LOVES this and it is super fun to watch and hear. 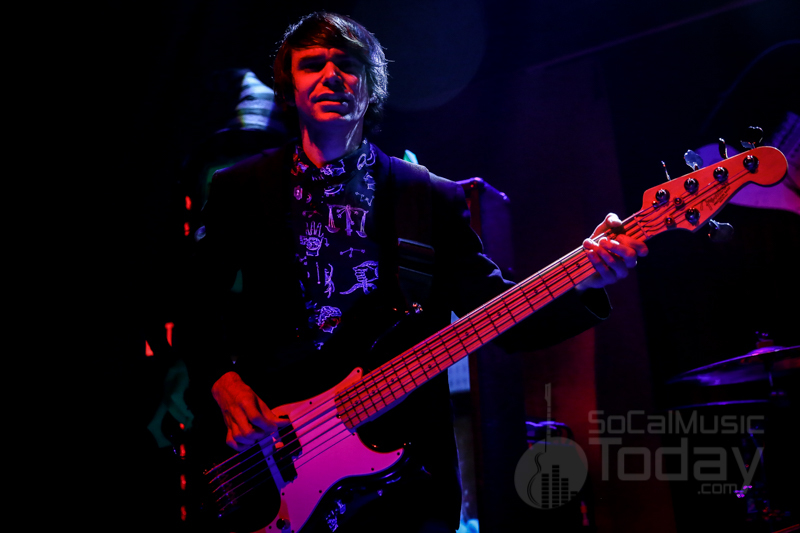 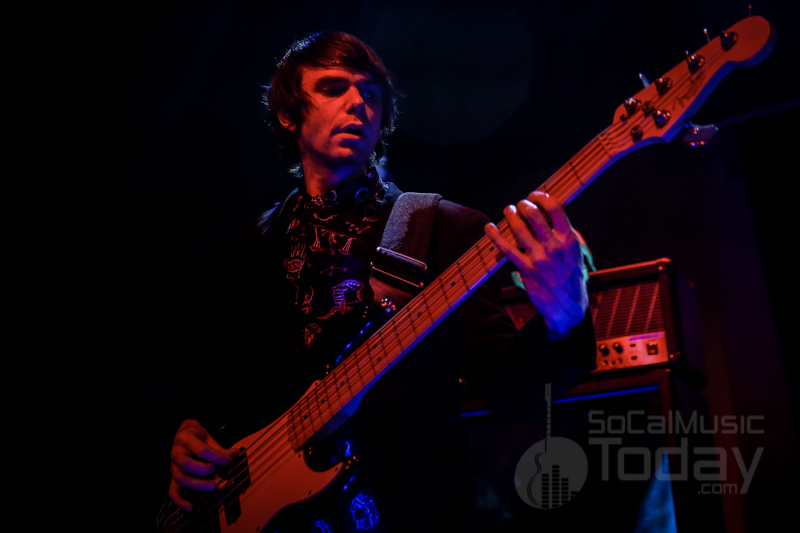 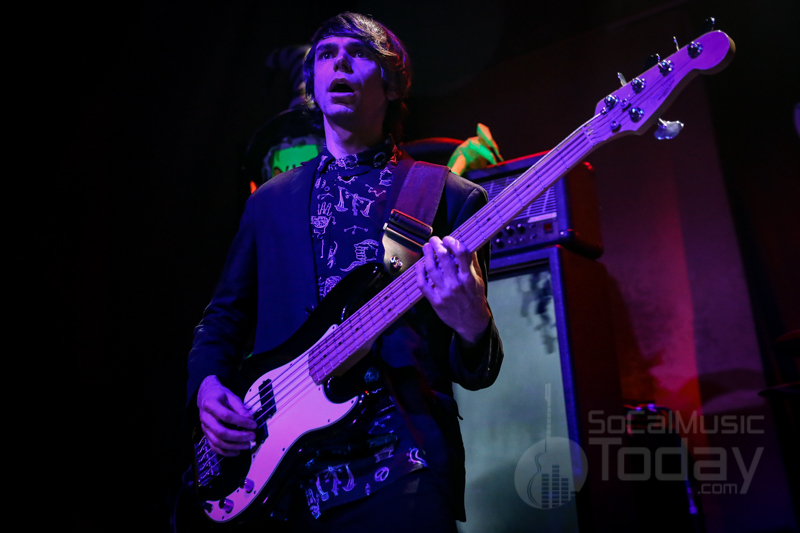 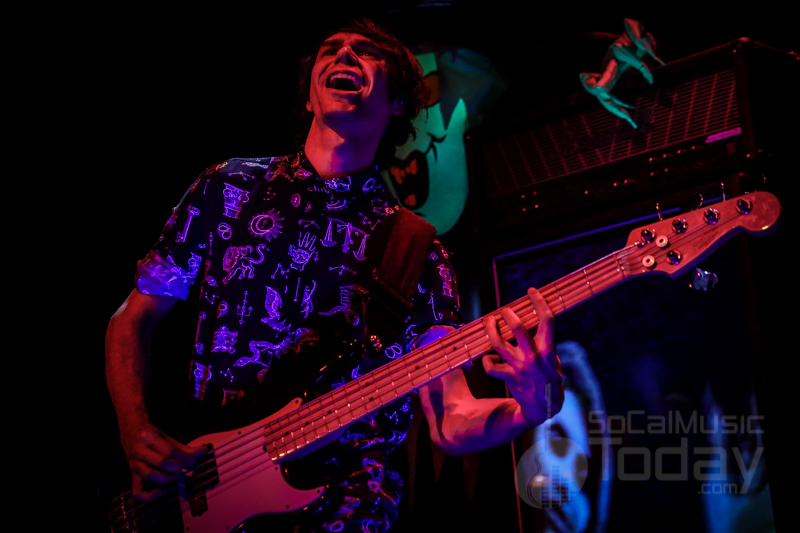 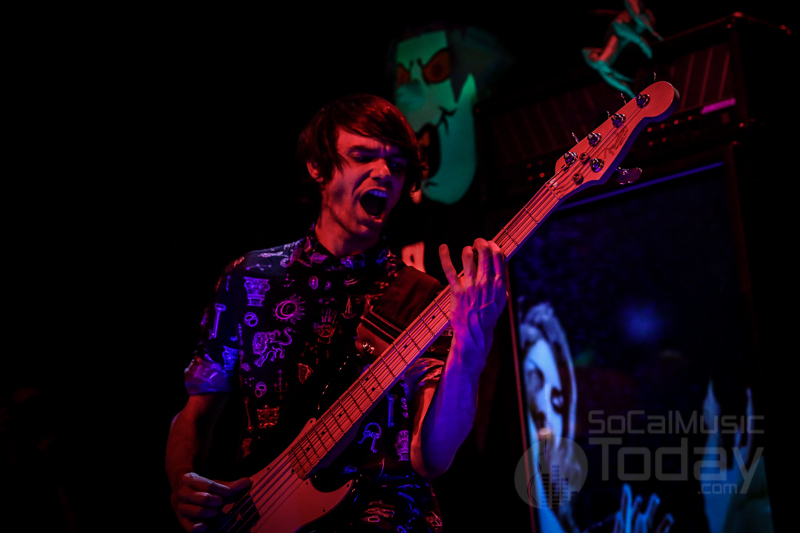 The Whisky A Go Go show was a special one as in addition to playing his usual set, a few special guests showed up to jam. 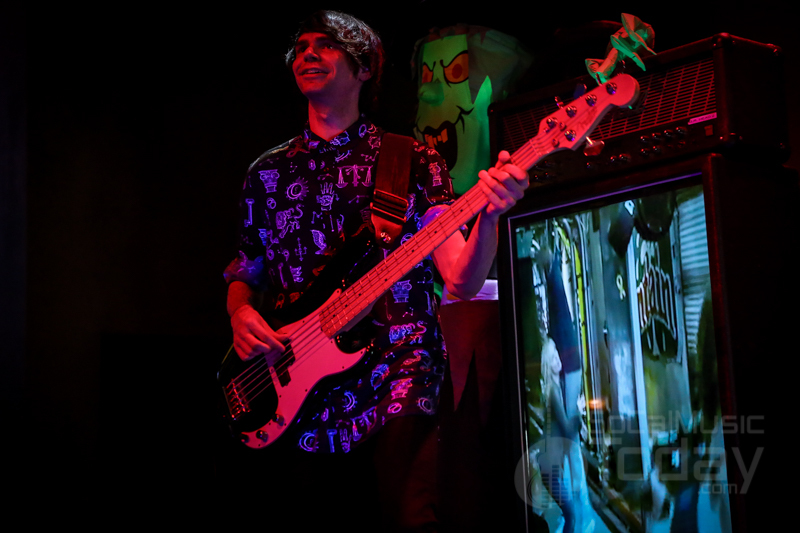 This all started with Shavo from System of a Down playing bass on the instrumental version of Michael Jackson’s “Beat It” and then a once in a lifetime moment occurred. 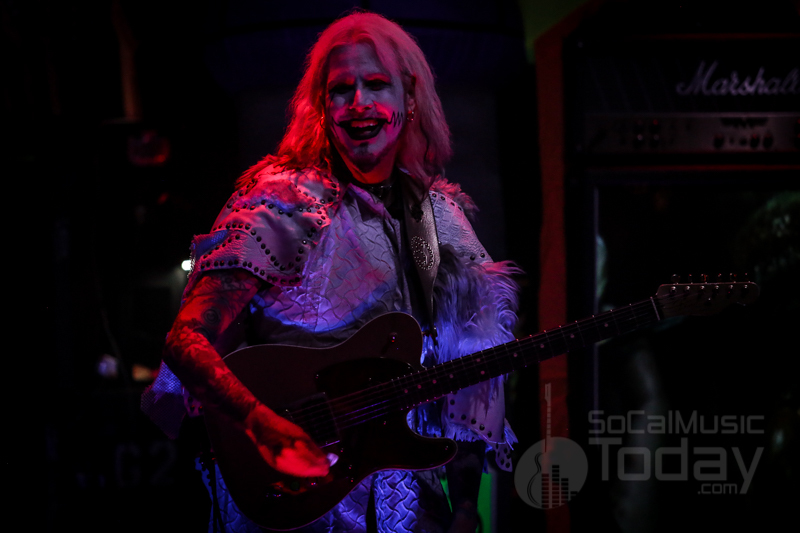 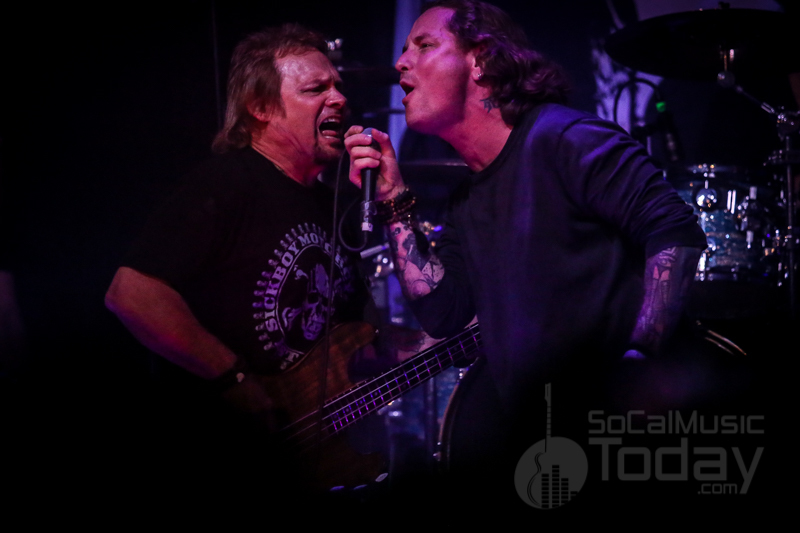 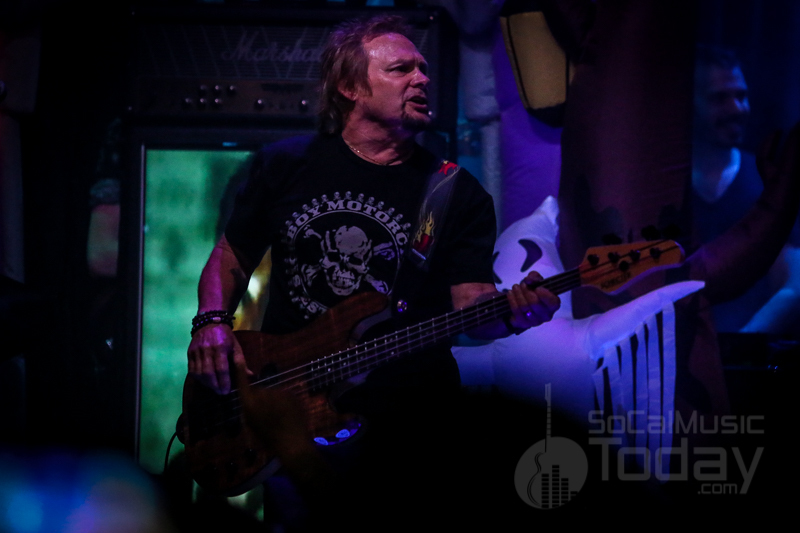 Michael Anthony (Van Halen) took over bass duties, Fred Coury (Cinderella) took a seat behind the drums all with non-other than Corey Taylor (Slipknot/Stone Sour) on vocals (and of course John 5 on guitar). 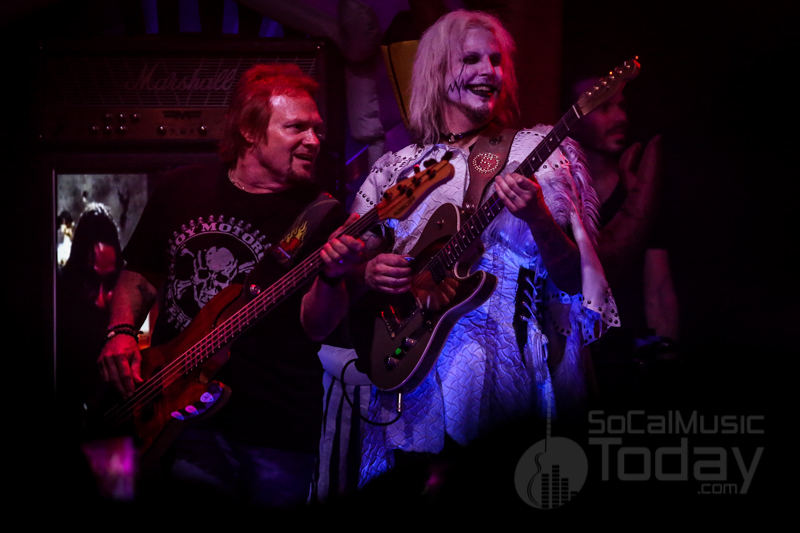 This instant Super-Group created a “pinch me” moment and played three Van Halen classics – “Runnin with the Devil”, “Take Your Whiskey Home” and “You Really Got Me”. 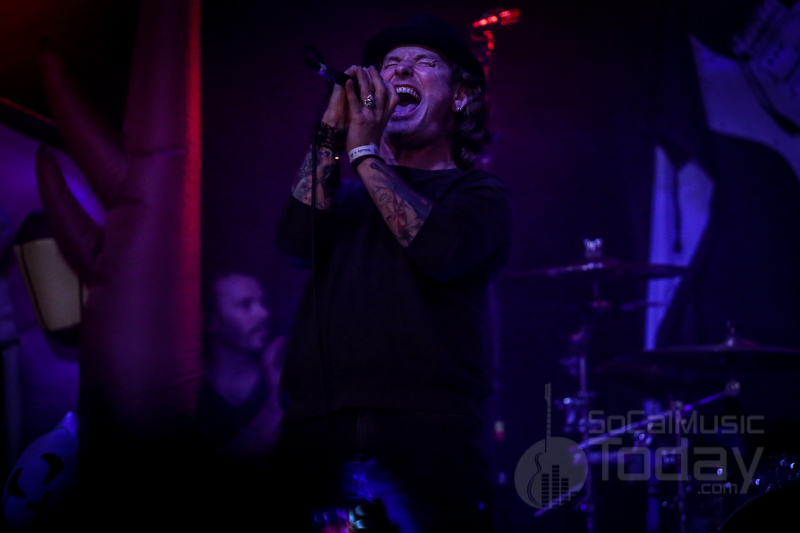 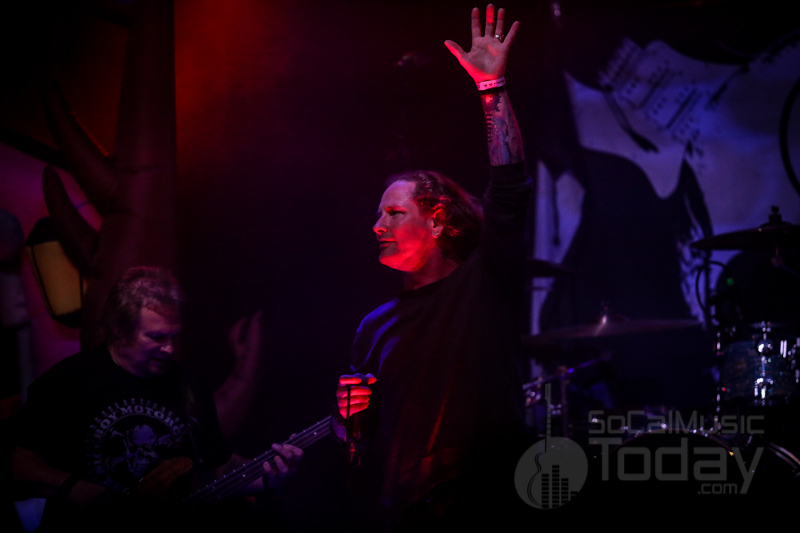 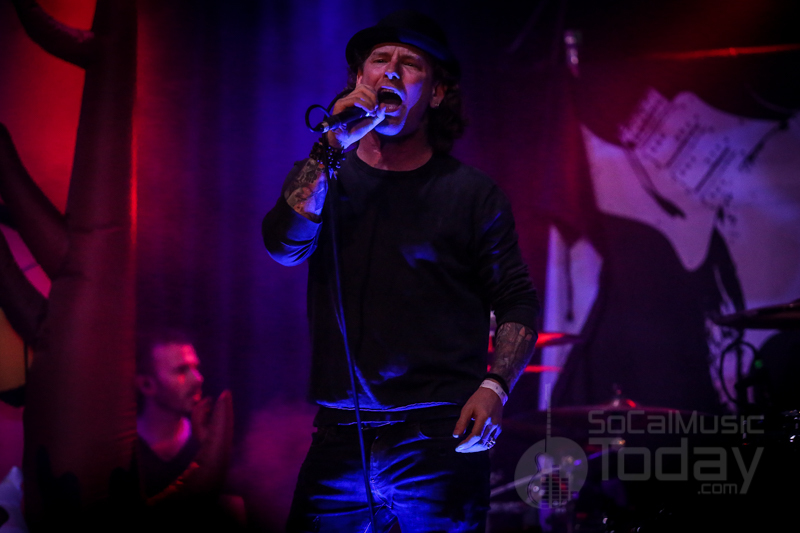 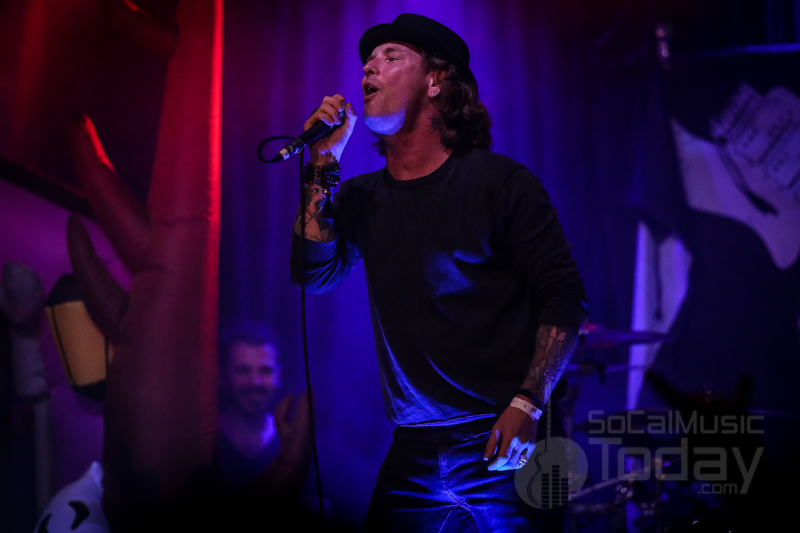 A truly unforgettable experience as all KILLED their parts, especially Corey Taylor releasing his inner David Lee Roth. 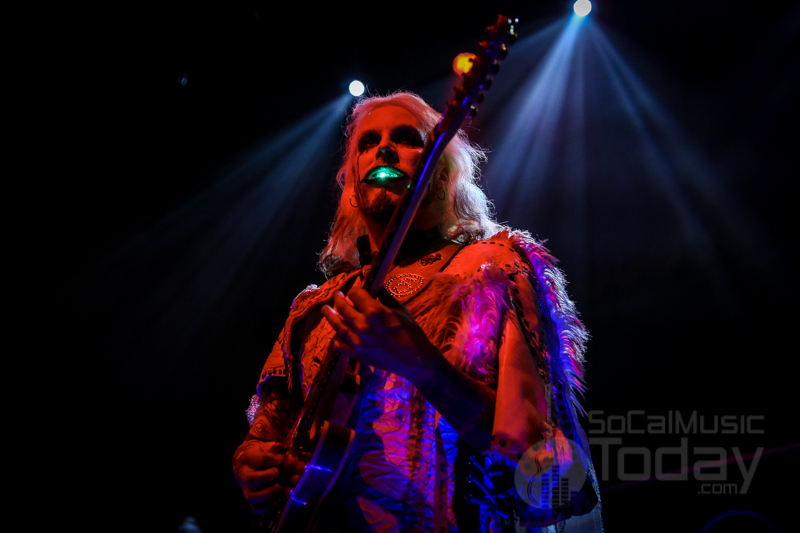 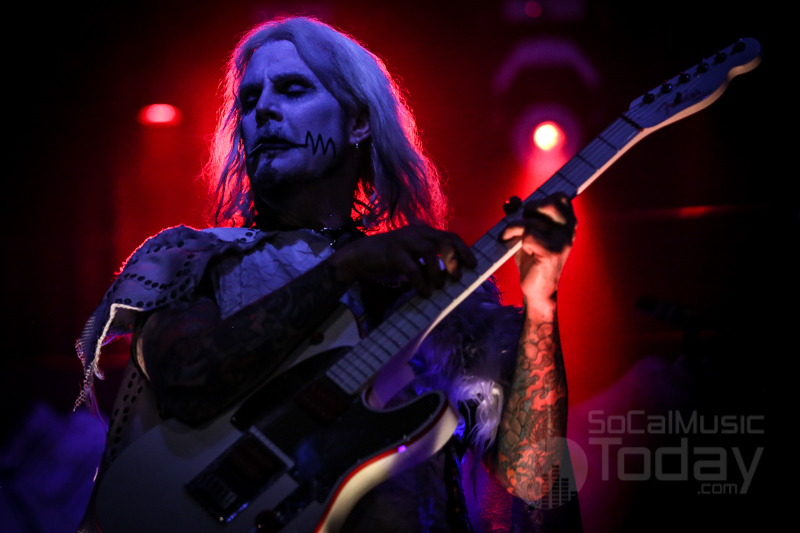 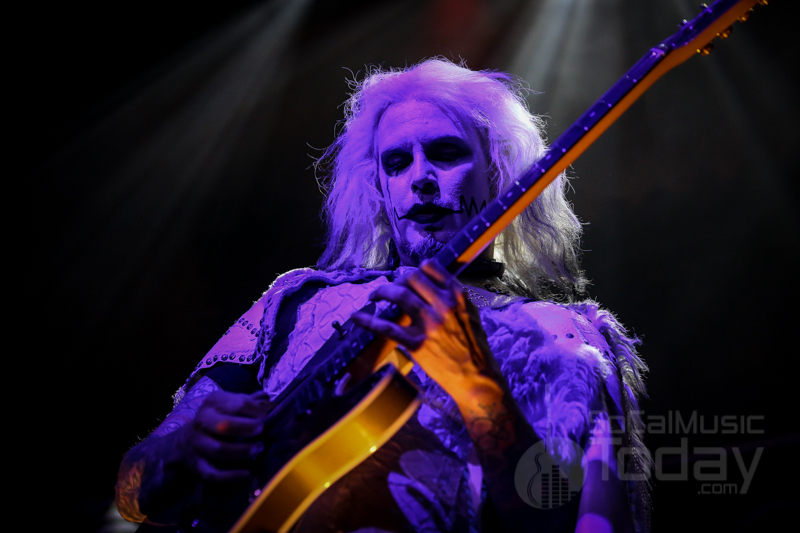 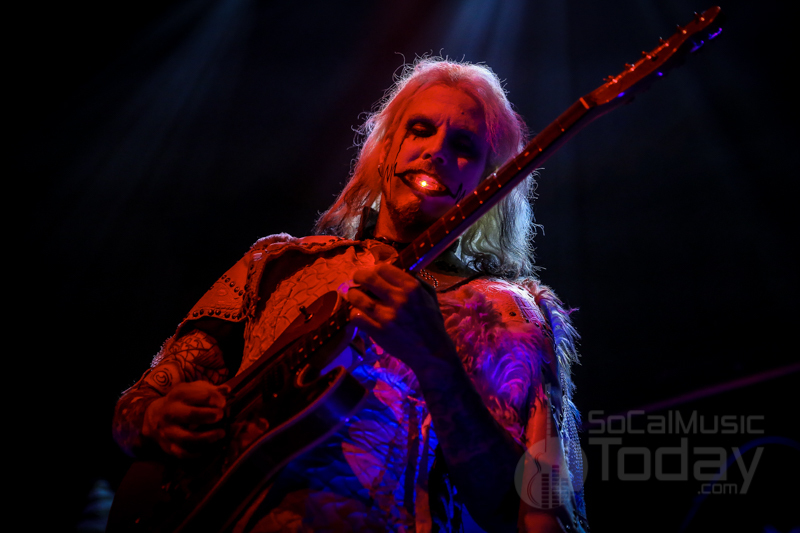 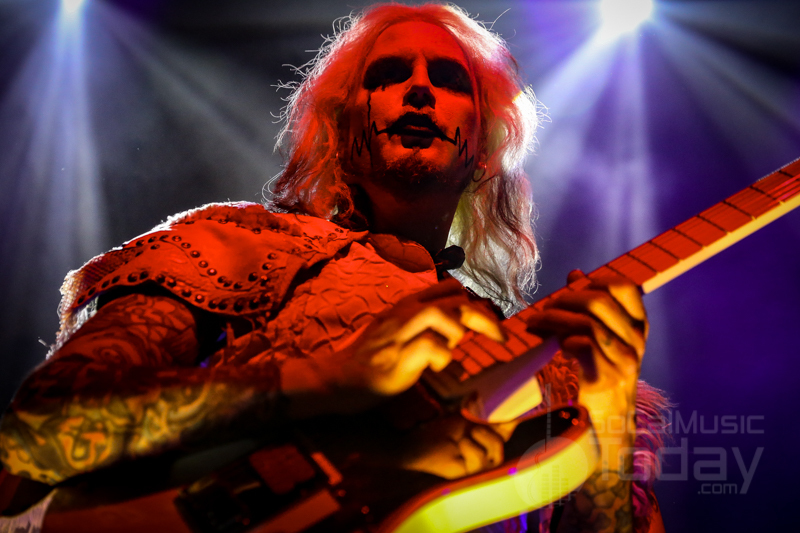 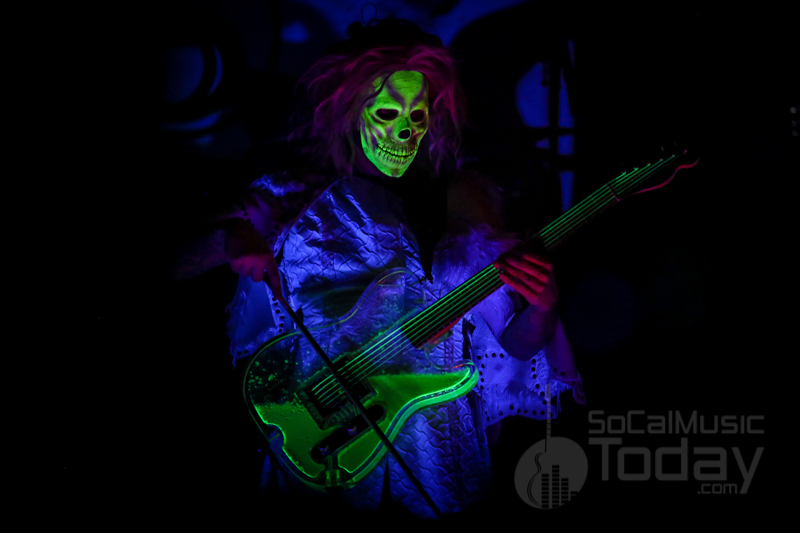 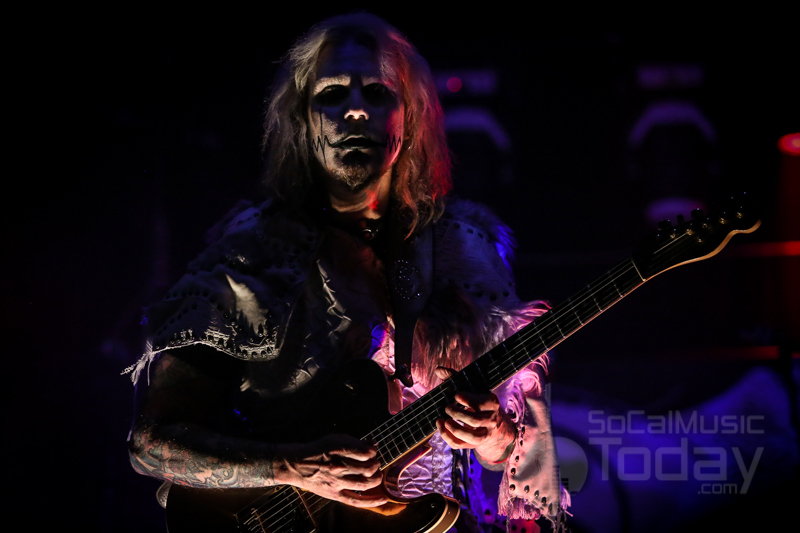 John 5 will be on tour with Rob Zombie this summer and there will no doubt be future John 5 solo tours. 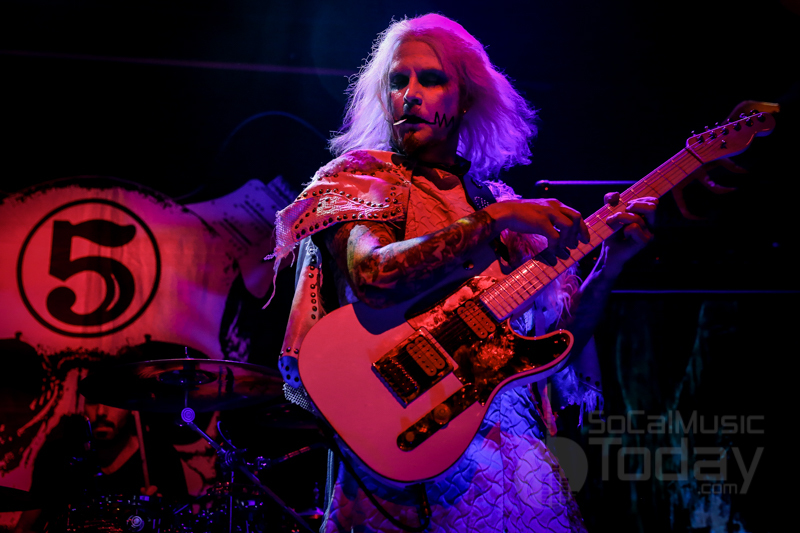 If you are a fan of pure natural musical talent, be sure to check out ALL John 5’s solo work and keep your eyes peeled for future tour dates.